Il Best Western The Bell In Driffield è situato nel centro di Driffield. L'hotel è vicino alle principali attrazioni turistiche. Approfittate tutto l'anno del miglior prezzo garantito e di offerte esclusive. "Not for you if you like boring plain hotels. This place has character!" Amazing place with tons of olde worlde charm, William Morris style decor and v helpful staff. Highly recommended. We enjoyed the arts and crafts/ art nouveau ambience with many interesting features. There is also a small swimming pool and bike storage, useful for a stopover on the Way of the Roses. Lovely room, very good breakfast but dinner was a shambles. The bar man didn't know how to use the new till, we paid for dinner and the order never reached the kitchen. The few staff disappeared for long periods. We had to clear our own plates. Wouldn't ever eat there again. Excellent staff. Provided ground floor room to accommodate my disability. Great spa experience, good food and service from all staff.. Loved our stay there and will visit again. I would recommend this hotel to anyone. Thank you. Your very welcome any time, it was a pleasure having you both!! "Spa lunch and lounge experience"
The spa part of the deal was not too bad apart from a large baby shower being booked in which meant that no one could use the jacuzzi as they sat in it for so long no one else got a look in. The staff in the spa were friendly and helpful. The same could not be said about the staff in the hotel itself. We went across for our carvery and were given a table that was for two people (there were 3 of us) so we asked to be moved. We were told to take a table in the other room. No one showed us to the table and no one came to take our order or tell us what we were supposed to do. The staff were miserable and elusive. There was no one behind the carvery counter to ask and no one behind the bar. We eventually found out that we just had to go up to the counter and wait for someone to show up and serve us. A barmaid eventually appeared and we ordered a bottle of wine. The food was ok, nothing special and the service really let the place down. We had to wait ages to find someone to ask about our dessert and when we asked we were given a board with the desserts on and they then disappeared and didn't come back to take our orders. We again eventually found someone to take the order and again they were miserable and unhelpful. The place was NOT busy so there was no excuse. When we tried to pay, the barmaid then started moaning that we should have paid at the spa (we had been told to pay at the bar). The way she went on and on made us feel very uncomfortable and it was really unprofessional. We could have just left without paying. She didn't know that we hadn't paid for our wine and we had to tell her. I will never go back there to eat and neither will my friends. A big part of eating out is the welcome you receive and the friendliness of the staff - this was non existent - they didn't know we were even there, let alone what we had had or paid for! Thank you for taking the time to leave us your comments. We serve a carvery in the hotel on a Sunday which is part of the lunch and lounge package with the spa. I am sorry that you were unsure of what to do when you came across for your meal. We do feel that we have good staff and receive comments mostly in support of this, however its seems not in your case, and it sounds from your comments that they could have been more helpful, i am sorry for this. We do try to make the carvery process as easy as possible for people. There is a big sign on the carvery that says please order and pay at the bar. There are then signs on the bar for if there is no one there to ring the bell for attention. There is also a bell and a sign on the carvery saying ring for attention for if there is no one there when people go up for there meal. These are in place so that it alerts the bar/kitchen staff that there is someone waiting when they are perhaps off doing other jobs that need doing. I am guessing that you missed these. If you had seen these it would have made the process at lot easier for you, we don't tend to get this problem as most people see the signs, perhaps we need a rethink to try and make it more obvious. The spa does deal with payments from there customers as they sort the packages and know what is to be paid for, there was obviously a communication breakdown here that, will be dealt with for the future. Again i am sorry that you did not receive the welcome and treatment that all customers deserve and am sorry that you won't be coming back. First time at the spa - staff friendly. However the changing rooms could do with updating the ceiling in the toilet & shower area is black either from mould or what looks like soot. Not very appealing. Went for a meeting today and want to express my gratitude to the wonderful staff. My car was damaged in the car park whilst I was at a meeting and the staff went above and beyond to help me. The hotel itself is full of character but the staff make it exceptional. I called in by chance with a friend today whilst visiting Driffield. We were extremely impressed by the “olde world charm” of this historic hotel. The restaurant/bar manageres was warm and welcoming to our enquires and explained some of the history. We both had a medium carvery which was a choice of four roast joints and I think about ten different vegetable dishes! Everything hot, fresh, local and delicious. We absolutely loved the whole experience, will come back again and rave about it to our friends. Yorkshire hospitality at its best. They may say the decoration is 'tired' but the staff of The Bell are brilliant. We had a Christmas meal for 11 and none of us had anything to complain about. The food arrived on time so all the servings were served together. There was a good choice from starters through to dessert, The serving staff were friendly, helpful and efficient. 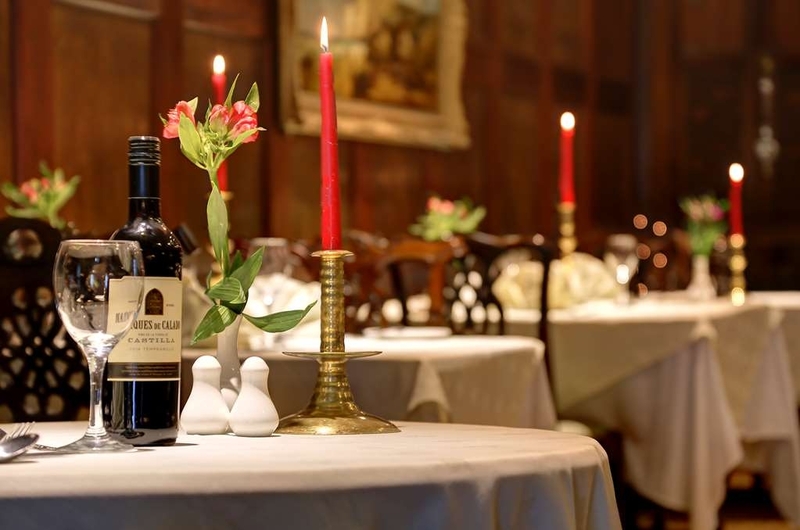 Book your Christmas meal here and you will not be disappointed. Lovely hotel with Olde Worlde charm.Friendly ,approachable staff,good food,relaxed atmosphere,good spa facilities.Town of Driffield has an interesting main street with a good mix of shops and cafes.We visited a very quaint 50s themed tea room,with 50s decor,and waitresses dressed in themed clothes and hairstyles! 53 ladies descended on the inn and enjoyed a very pleasant break on our way to Burton Agnes.The welcome was warming, the rooms all set up for us and the copious amounts of coffee and delicious scones filled us for our onward journey! Thank you so much for a lovely experience! just had a great afternoon at the bell hotel, spa experience with massage followed by afternoon tea in the quaint hotel. Very relaxing and enjoyable. !st time at the spa but the staff were very friendly and explained everything that we needed to know. The facilities were nice although the changing rooms could do with a spruce up. The massage was wonderful and must be repeated soon. We were served afternoon tea in the hotel and had a nice selection of sandwiches and cakes and lots of coffee. Would do again soon. "Afternoon tea / coffee & snacks"
"Old-fashioned warm welcome and high quality hotel"
We spent a lovely weekend here as a treat and were delighted with the warm welcome and unique atmosphere offered here. Highly comfortable and individual. The food on offer was delicious and the wine selection excellent. Our bedroom was charming, well-appointed and really comfortable.We were enchanted and shall definitely visit again. "Hotel with Character & Charm"
The staff in all departments were attentive and helpful. The rooms were comfortable, spacious and clean. The entire hotel oozed character. I can highly recommend this hotel and would certainly stay here again. My friend and I went for the spa with afternoon tea special. This is not a trendy over fussy place. Dont expect hightech swishy. What it is - is friendly great value and perfect for a chill out day. The hydrotherapy pool is brilliant so relaxing. The pool is on the small size but great to just relax in whilst my friend had a back and shoulder massage which she said was the best she has ever had. Coffee was brought to us to enjoy by the pool. There is a nice relaxation area.The staff could not he nicer. Afternoon tea was served in the bar. yes the place is a bit old and could do with a lick of paint but can not beat this place for value for money worth the trip. We have already booked to go back in january for a post xmas treat. "Popped in for a quick lunch"
What an old worldy place. Brilliant. Obviously not changed for years but well kept. My friend and I were delivering antiques to across the road and popped in for lunch. We weren't disappointed, had a medium carvery and two soft drinks for under £20-00. But then went back for two sweets, again not disappointed. Victoria and Sue looked after us very well. One tip! Please have a look at getting more non alcoholic drinks other than Becks Blue. We are both on tablets as well as driving and cannot take alcohol. Will come again before the auction next time. "Lunch visit, dirty dining room"
I dropped in for lunch with friends. The dining room table tops were dirty, cleared but not wiped. The table mats were covered in more than one days dirty deposits and the glasses were dirty. I felt very uncomfortable eating in dirty and creepy surroundings and incredulous at the state of the place, to which the staff appeared oblivious. The food tasted ok and the place was busy but not a pleasant experience at all. Good basic carvery at a very reasonable cost. Old fashioned feel to this market town hotel. Good choice of meat and various vegetables are on offer. Pleasant atmosphere and friendly staff. Seems to have carvery as an offer everyday. Very good point is that there are small, medium and large plate offers. Appreciate the hotel is advertised as Victorian, it definitely is a time warp. We had a terrible nights sleep, beds were extremely uncomfortable. The bathroom looked like a public toilet. After a family get together and returning to the hotel at 10.30pm we were informed the bar was closed even to residents. We would definitely not return to this hotel. "Good Food in historic surroundings"
"Cycling the Way of the Roses.."
As we were visiting Driffield for the first time, just for a few hours, we looked for a restaurant but did not want fish and chips again!! The carvery was advertised outside at a reasonable price so took a chance. So pleased we did! Friendly staff and an excellent meal. If we ever return to Driffield we will definitely return there. "Just had a great stay!" I had looked for a hotel with the pool and this was the only one I could find in the area. I was a bit concerned from some of the reviews I had read but we really enjoyed our short break at The Bell Inn. Yes it is a step back in time but that is what makes it so special. We visit other hotels and this one is special because it is so quirky, easy to get lost going to the pool, the hotel is just lovely. The Staff are all really nice, nothing is too much trouble. Comfortable beds, a clean room, lots of hot water, breakfast was really good too, local, quality produce used. 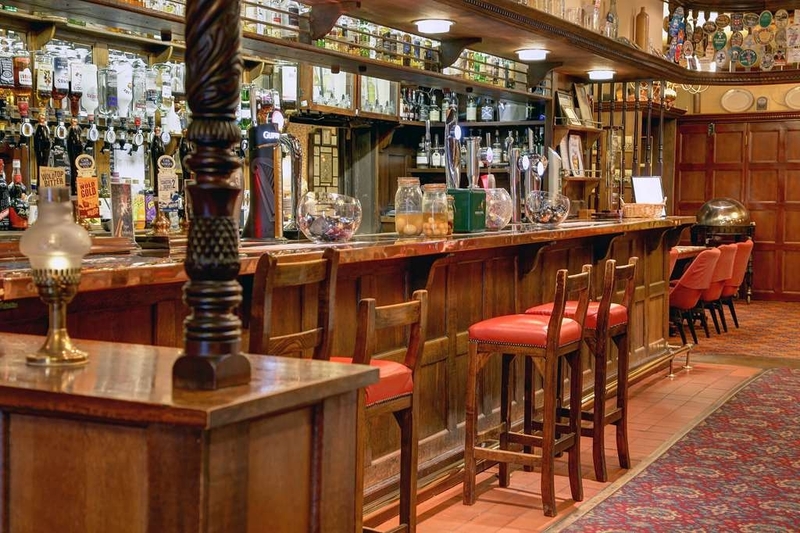 A nice bar with a good variety of drinks and even a good coffee if that is what you want. The only extra I would recommend would be to have a safe in the room, everything else is provided. Thank you we will be back. "Best Cajun Chicken I've ever had "
"What a dump, do not stay here"
I visited the hotel for business. The staff are lovely and very friendly but the hotel is in desperate need of a refurbishment the rooms and main areas are very dated, even the towels and bedding look as though they have seen better days. The car park is a nightmare limited spaces and very cramped. The breakfast was nice however i didn't try any of the evening meals. Im a great believer in you get what you pay for and we certainly got that. The best thing about the hotel though has to be the staff, every member of staff made the stay memorable. The room was nice and big and filled with interesting old furniture. Great little bar and food was very nice.We`ll be back. I have stayed at this slightly eccentric hotel 10's of times over the last 20 years. Situated in the centre of the town. Parking can be a tad difficult but do not be put off. Dinner great quality and portions. Do not miss breakfast, it is superb; probably the best in Yorkshire. Worth a visit. "Return visit 3 years on." Nothing much has changed in 3 years since our last stay here, the floors still creak 24/7 the rooms are of a good size as is the en suite bathroom and the beds were reasonably comfortable but everything is ill thought out and rather shabby. Nice touches with dressing gowns, an iron and ironing board and the wifi worked ok. The owner? still hovers around but says nothing, (reminds me of a character from the Munsters) and does nothing to help or assist his staff who are very thin on the ground poor things. The bar is open but often not staffed and closes at 11.00 regardless that there were several residents enjoying a drink and owner sat behind the partition making sure no-one helped themselves to a drink! The dining room is closed in the evening, the reason given was that it had been laid up for breakfast! I don't know about anyone else but when I book into a nice hotel and want an evening meal I expect to eat it in nice surroundings from a well laid table not on a grubby table in a bar full of people drinking.Pub grub to me is for lunch not an evening meal.We ordered our meal regardless and the main part of it arrived, no cutlery, and no potatoes or veg which arrived a good 5 to 10 minutes after which resulted in a luke warm Haddock and peas /Scampi. We didn't bother with dessert! We had booked room only and went to the Secret Garden Cafe for a wonderful breakfast for £9 for the 2 of us. Second night we and 8 others in our party went out to eat and had a wonderful meal at the Marco Polo Italian restaurant in the main High Street. I would go back as the hotel is ideally situated but it is a pity that it is not run well or welcoming from the management. The staff deserve a medal. We stayed at the Bell this week whilst visiting family in Driffield. We were in the last available room which was a ground floor room which had disabled access which we did not need but loved. The room was large with twin beds and had an enormous bathroom with wet room type shower and a bath. There was a walk in wardrobe with lots of extras on the shelves hairdryer, iron etc and 2 bathrobes. the room like the hotel was furnished with antique pieces and had everything we needed for our stay. 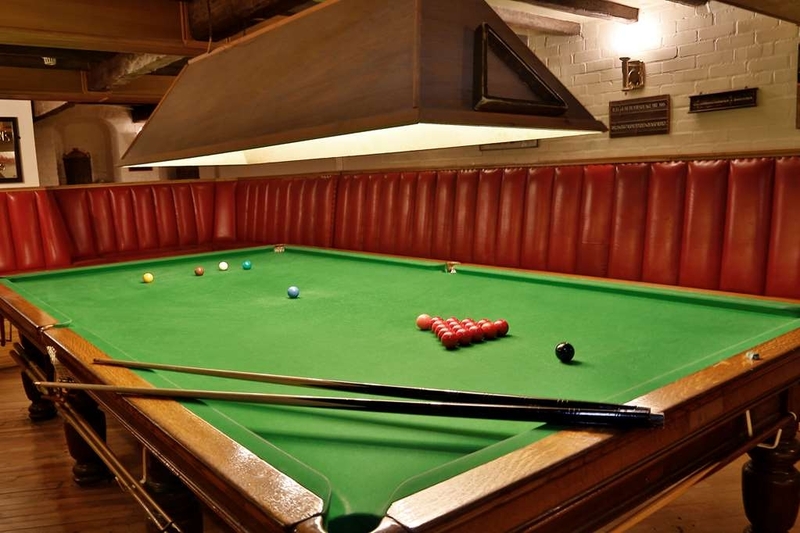 We did not use many of the hotels facilities or eat there due to our committments but did go into the bar for a drink and had a great game of snooker in the lower ground floor snooker room. We would definately stay next time which will be in two weeks time. People said parking was an issue and the car park is small possibly 15 or 20 cars but we managed to park each time. Matress seemed a bit poor but both slept very comfortably each night. Thought the noise from the car park outside our window would wake us but the secondary glazing kept out all of the noise. There is a spa attached to the hotel which has very reasonable rates and I will treat myself to a treatment in the future. Hotel tip Can you supply a dry mop or rubber blade in the bathroom to enable us to dry the floor after a shower. Thanks a great stay. "Fantastic place full of history"
Love coming to the Bell every other Thursday for the folk music nights. Very friendly atmosphere and very welcoming to everyone. The hotel is very interesting to look round and a lovely place to sing and listen to great music. This hotel has a lot of character. Staff were very friendly and catered to our needs. We ate in the bar and the food was very tasty. The rooms were quite and comfortable and we will definetaly return. Thanks. "Relaxing time in the Spa"
Visited the Bell in Monday for my birthday with some of my family. Had a lovely couple of hours relaxing in the spa and then a manicure. The lady was really friendly and professional and all the staff couldn't do enough to help us enjoy ourselves. I even had time for a quick raspberry gin from the extensive new 'gin menu' before we left...delicious! Thank you very much Bell Hotel, we will be back. "Badly in need of renovation"
Staff very friendly and welcoming, Wi-Fi provided, very old world and cluttered with faded furniture and remnants of Valentine's Day decorations in April!! Owner parked his van in such a way that two of the precious car parking spaces were not accessible. Strong smell of drains emanating from toilets when we entered hotel from the car park. Bathroom had peeling linoleum and loo stained. I am sure the cleaners did their best but the place so badly needs gutting and refurbishing. Carpets old and room a bit smelly. Had to move heavy chest of drawers and unplug a lamp to find enough plugs for recharging the electronic equipment. Breakfast was OK but went out for evening meal to Wetherspoons which was reasonable - unfortunately the Indian restaurant was shut over Easter. Would not recommend this hotel. "Not good if you're working..."
...or have young children or generally want a quiet place to stay. Checked in and went into town for food as restaurant empty at 6.30, looked dated and not very appealing. Found very good Indian food close by at Trishna. Back to hotel to finish up the days work when I thought I heard someone practicing trumpet in a room close by. Soon realised it was a full on band downstairs in the bar and pretty loud with it. Too distracted to work and noise overpowering first headphones then earplugs. 9pm now, hoping it doesn't go on too long. Not what I expected and haven't been stuck above a pub with a racket since my travelling days staying in hostels or pubs where I knew what to expect. Place could do with an update but isn't too bad, a bit quirky and I would have given 3 marks. No warning about the racket to come from the bar which is totally unacceptable. 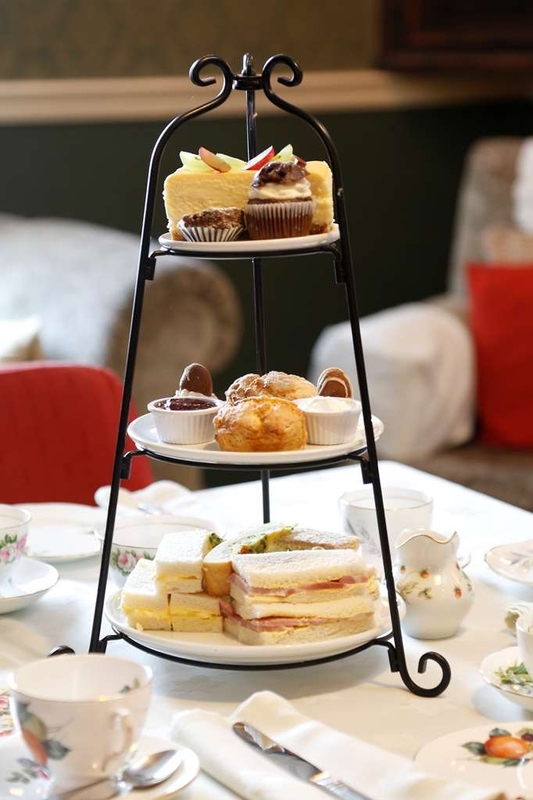 "Mother's Day spa and afternoon tea"
Booked spa and afternoon tea for mother's day, and we both loved it! Spa was clean, warm, and so relaxing! Afternoon tea and was lovely, although the hotel could do with being a bit updated, the food was lovely. They also catered for vegetarian. Well worth the money, would definitely do again! It was a mini break and a chance to explore the area of Bridlington, Hull and Scarborough. Good bus and train connections. Driffield is a busy market town with good shops and facilities. The Bell is in the centre and you should visit and bottle the ambiance. This place has a lot going for it. Central location. Long standing favourite of the farming community. 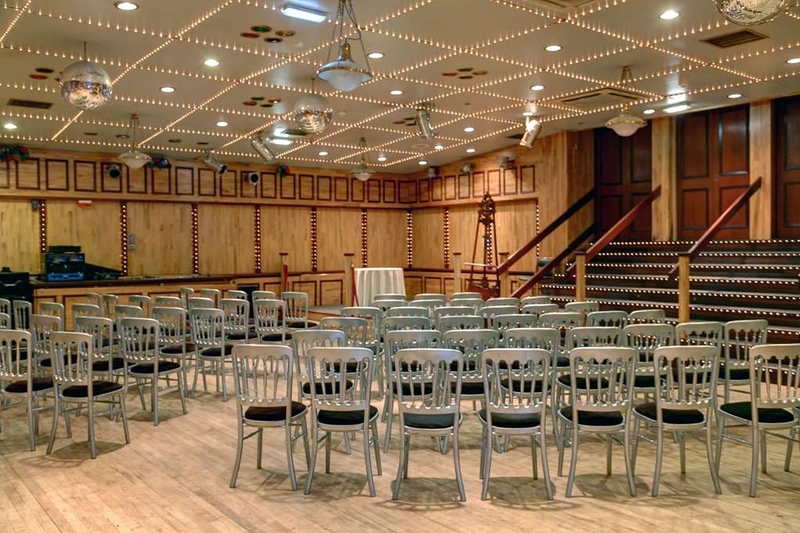 Venue full of old world charm with its wooden paneling. But the main courses were adequate rather than good. Tired yellowing broccoli, slightly soggy pie crust etc. At that stage, perhaps three stars. However the desserts were to die for. Chocolate brownie sundae was, without exaggeration, pone of the best sweets we've ever had, full of brownie, cherries, chocolate pieces and very full of paste. The white chocolate creme brulee was not far behind. So four starts. Maybe for the main courses we chose the wrong things. There is a salad option which did look good. We returned to the bell for a couple of nights visit and I must say it was just as good as the last time. The hotel is very different to the newer modern hotels that seem to be popping up all over. This hotel is interesting and has character, we love it!! Again food good, staff great. Thank you we will be back. went to a gathering at the bell havent been for years and belive me it hasnt had any thing done in year, there where settees scattered around which looked as if they had come out of a skip, light shades from the sixtys and stained and wall paper out of the 80s , in the bar there was no seating pads in some places the food was nice shame its stuck in time warp and not a good one grotty. 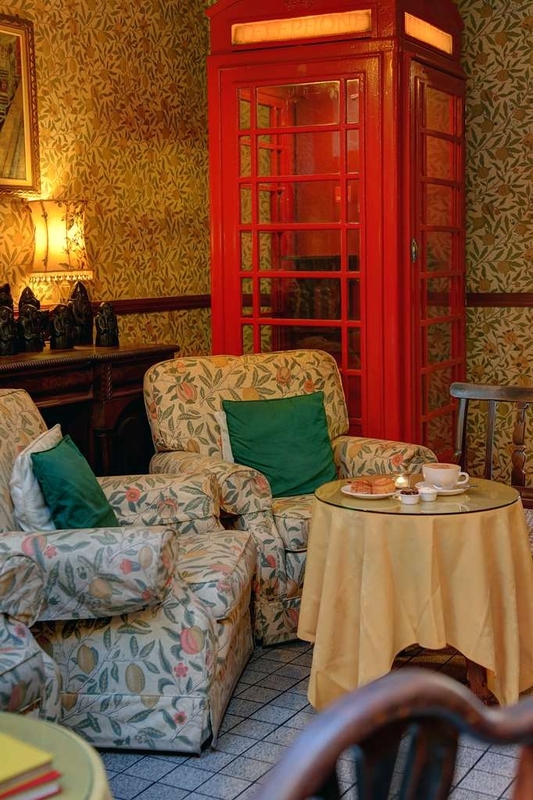 The Bell is a traditional hotel that was probably once a coaching inn. Our first impressions were that it was a rambling building with a number of ground floor rooms for eating, drinking etc. The room we had booked was adequate and had a separate lounge which was accessed through a door and down a few steps.However we made no use of it as it was very cold and the TV was in the bedroom. The bedroom itself was fine with a comfortable bed and tea and coffee making facilities. The en-suite was standard but the extractor fan was not working which we would have complained about if we had been staying for longer than one night, however it did have a bidet! We found the placement of mirrors was not good, too dark and no nearby power points. The bar was a real disappointment to me. Despite having five or six handpumps there was no real ale available at all. Don't they employ a cellar manager? Having draught beer was one of the reasons we booked the place! We slept well and it was quiet during the night.The breakfast was decent if rather pricey. We wouldn't consider The Bell again when travelling north as it, in our opinion, does not represent particularly good value for money. We received a groupon for afternoon tea at this hotel. We were shown to our table, our tea was presented, we were asked once if we required more tea and that was it! Bearing in mind we were the only people in the hotel I would have expected a little more attention. The tea was not the best we have had. Plenty of sweet stuff, not enough savoury. A little salad or something to go with the minuscule portions of quiche would not have gone amiss, that said the ham sandwich was delicious.Also pastry forks so we didn't have to scoop the cheesecake up with our fingers. My wife Janis and I travelled to Beverley in 2015 to meet up with newly found relatives of hers.Her father was orphaned in about 1908 and sailed to Australia in 2024 after being taken in by an Aunt. My wife's Family was unknown until we received an E-mail from a gentleman from Beverley in 2014 asking if she was related to a Charles Topham from Beverley....this she was and we replied, to find that this gentleman was her first cousin. After several communications, we flew to The UK and toured to Norway on The Britannia then back to England. hired a vehicle and drove to Beverley. Alas, we could get no accommodation in Beverley because of a Caravan Convention, so we drove to Driffield and obtained a room at The Best Western The Bell. It was great, we were looked after like LONG LOST FAMILY, lovely room, lovely meals and service. We parked our vehicle in a small parking area at the rear with no problems. To us it was a great choice, OLD FASHIONED, COMFORTABLE, ACCOMODATION...we would definitely stay there again. Had a wonderful time at the spa today (we didn't stay at the hotel) , amazing facilities, lovely and clean. Had the best massage from Kim lovely and relaxing. The meal at the Bell Hotel was perfect!!! Only stayed for one night, would have liked to stay longer. Check-in was straightforward and quick, I was shown to my room not just told where it was, which was handy as the hotel is a bit of a maze! The room was perfect - Number 5 with the Eagle headboard! Everything was clean and comfy. Some of the furniture is antique and showing that it's had a few years of love, but it's all well-cared-for, nothing is scruffy or unkempt. The wifi worked, and there was everything I needed in the room. I had supper in the restaurant - I wasn't very hungry so only had a starter, smoked salmon & prawns, which was lovely. Breakfast the next morning was generous and very nice, the scrambled eggs (my personal litmus test) were pretty good. Check-out was as smooth as check in. Things to be aware of: the car park isn't very big, but there are other car parks within an easy walk. It's a very old building - some of the floors squeak a bit, and there are stairs and steps here and there. If you're used to modern corporate hotels you might find this a bit of a culture shock, but I thought it was lovely and will be back regularly now I know it's there. Maple room is great for a party. Helpful staff and the room looked great. Great bar upstairs and service. Our guests were staying and their room was really nice. Couple of grumbles, the rooms were very hot and no staff on in the main bar . Rang the bell a few times but no one came. Waited nearly half an hour then went back to the room. Bit disappointing to say the least. Come to a nice hotel and can't get a drink. 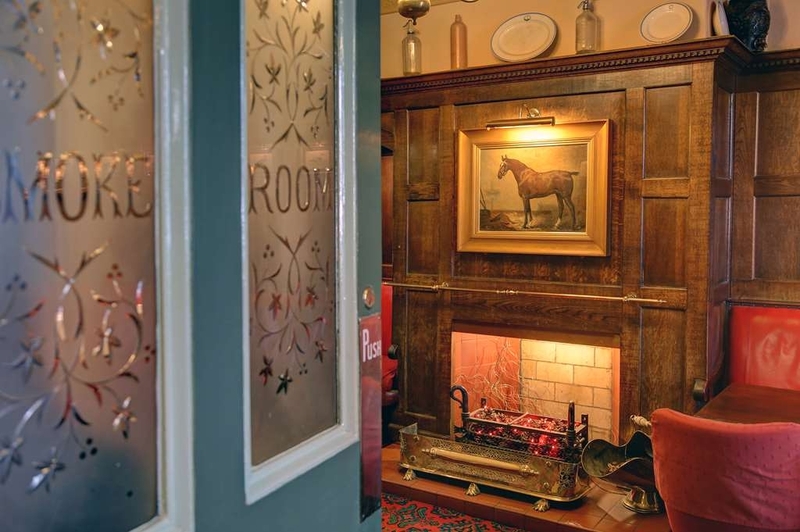 "A 'Full of Character Hotel' in the Heart of the Yorkshire Wolds"
The Bell Inn, in Driffield, the Heart of the Yorkshire Wolds is absolutely full of character and interesting features. It was a true gem of a find. Set in the middle of the town, not far from the beautiful Church or High Street shopping area. Ideal for visiting the villages of the Wolds. We were greeted at reception and personally taken to our rooms. 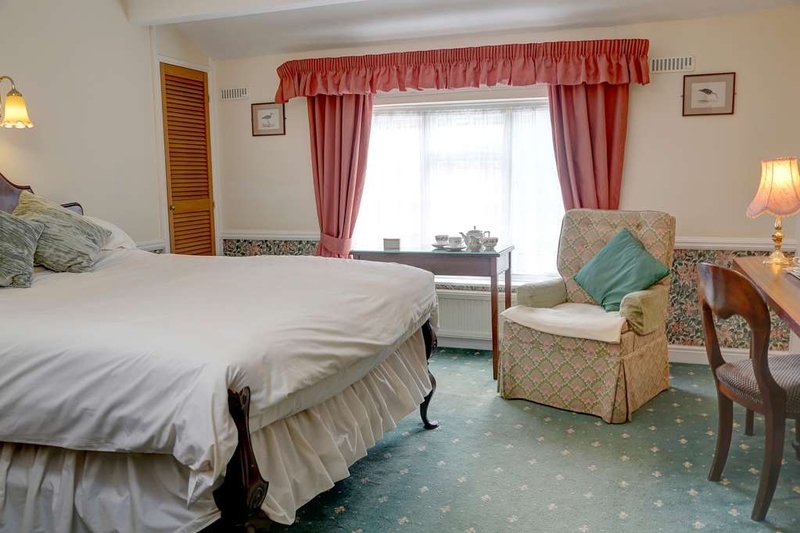 The rooms are lovely and very comfortable, with tea and coffee making facilities and very comfortable easy chair and a very comfortable bed. We had a sunken bath with shower over and this did work by keeping the floor dry. We enjoyed a lovely Christmas meal on our first night, followed by a very good breakfast the following morning, lots of choice. Lovely choices of food. "A pleasant 3 star hotel"
I stayed here as it was the venue for a Christmas function. The room was clean with the facilities expected in any hotel. Some of the room fixtures and furniture were slightly faded along with the decoration but it was in keeping with an 18th century building. A large functional bathroom, it was nice to have a window in there unlike modern hotels. The room was cold on arrival but warmed when the radiator thermostats were turned up, suspect the heating system was on a timer as the radiators didn't heat up straight away. The dining room for breakfast was very quiet and may benefit from some background music but that aside it was one of the nicest full English breakfasts I've had in a hotel! Only big negative is the hotel car park is tiny and was full on my arrival. I parked in a nearby free car park that was a few minutes walk away, the hotel website did say it was a small car park however giving directions to the nearby parking would be beneficial. Very helpful and friendly staff, overall a pleasant stay and would book again. I really hope to plan another holiday so I can stay here again. Behind its unprepossessing front hides a beautiful old building, which I think has been lovingly maintained. I loved the labyrinthine corridors which led to my room, and I thought my room was beautiful. The one or two creaking floorboards simply added good character, for me. It's not easy to maintain an old building, so what really matters is that it is clean. I did have a little trouble with using the bath, so I reported this to the lady on reception in the morning when I went out for the day, and when I got back she explained that the taps simply need to be turned much further than we are used to in modern buildings - and she was right and I had a lovely bath that evening. I was there two nights and ended up eating there both times. I had walked down the Hight Street, and there are other choices but none happened to take my fancy. I stayed here because I wanted to visit Hull (since I was already in the area), but did not want to stay in Hull itself. It was a 5-10 minute walk to the train station, and the service was good. I did have breakfast included in my rate, and I was happy with it, but I didn't try the cooked options so cannot comment on those. I note other people have commented on the carpark: I did not have as much trouble as many of them, but I was nervous about leaving my car there, since it is indeed small. However, nothing did happen - most people don't want to scratch their cars either! I tried to use the WiFi but unfortunately I found it unreliable. Since I did not really need it (because it feels even more like a holiday when you can ignore the internet), I was not bothered and didn't report this to the staff. (It may have been my devices and not their WiFi.) I did not use the spa. Admittedly we booked on the Friday for the Saturday night so did not expect to have a big choice of rooms and ended up with Room 16. Suffice to say will not be staying there again. Lots of younger staff members who were really helpful on arrival and when husband checking out asked if stay was OK, when he proceeded to advise of condition of bathroom in that room they did not seem particularly bothered. General appearance of hotel being faded and in dire need of attention all round. Lovely morning coffee and scone on offer which is really good value. Love the atmosphere in here. Feel very comfortable here and a good meeting place . Also do nice lunches. Great gym and pool downstairs. "Possibly the worst spa experience!" Everything looked promising when I booked our wet side and afternoon experience some weeks ago however... On arrival the tiny car park was rammed with cars. The spaces will not accommodate anything bigger than a Ford Fiesta let alone an estate car. Regardless I parked in what I thought was a space and continued into the venue. We were met by a lady on reception who led us down into the spa and gave us our robes and towels. What can I say about the Spa itself... very very dated and not the cleanest. As we walked around the spa I noticed in some of the treatment rooms they had cheap plastic sun loungers - hardly luxury! Changing rooms were adequate - although I do think you could do with more than one ladies toilet. The pool needs emptying and cleaning. The grout is black! The walk ways are filthy and need to be pressure washed. Whilst in the spa I was asked twice to move my car in the car park. Not something I would mind doing if I wasn't 35 weeks pregnant and getting dressed wasn't a massive undertaking. I had a shellac pedicure by a lovely therapist however on closer inspection she had got shellac all over my toes. Also whilst doing the treatment she yawned on several occasions and just made me feel like she wasn't truly interested in actually being there. The afternoon tea experience... Well I mean I know it was a cheap package but some of the deserts were still cold in the middle from where they had been frozen. Nothing was fresh. As for the waitress who served us, she was never to be seen again. And we left without seeing a single member of staff. Overall, it was a poor experience and I won't be back. If you are considering staying here or visiting the "spa", I'd suggest you spend a bit more and go elsewhere. As for the hotel being a Best Western.... what a joke! "awful, don't have afternoon tea !" Stayed here for one night with a friend while cycling the Way of the Roses, from Morecambe to Bridlington. We'd overestimated the amount of time the 170-mile route would take and only really needed three days so were in a dilemma: whether to stop in Driffield for the night and complete the final 20 miles of the ride the following day or push on to Bridlington and stay there the final night. In the end, we decided to stay in Driffield although the final 20 miles of the WotR ride is pretty quick and easy. Driffield is - it must be said - a quiet little town, rather dour compared to York, Pately Bridge, Settle, Lancaster - some of the other places we'd passed through. Dining options are very limited. The Bell Inn itself offered food (more in a minute), plus a couple of passable Indian restaurants, an OK-looking (but fully booked) Turkish and a fish and chip place. The Bell Inn itself was surprisingly good! The staff were very welcoming and helpful, allowing us to lock our bikes in a spare shed at the back of the property. Our room was very old-fashioned, but sort of authentically so, rather than deliberately chintzy. It had twin beds, plenty of space and a huge bathroom. the only disappointment was that the bath taps seemed to be disconnected and I had to fill the bath using the shower which took ages. Nonetheless, I was able to have a hot bath after 50 miles cycling so no complaints. We had a drink at the bar which was fine - nice to be offered the opportunity to have the price of the drink added to your room bill - very civilised. THe hotel wifi was patchy. We didn't use the Spa facilities. The Bell Inn's restaurant seemed to be popular with older customers, perhaps seeking a traditional sort of meal. We opted for one of the Indian restaurants which dished up a good mulligatawny soup but only a passable curry. In summary, the Bell Inn was nice but I'm not sure I'd return to Driffield just to experience it! "A good lunch in an interesting environment"
While on a shopping trip to the pleasant, friendly market town of Driffield, my wife and I decided to have lunch at The Bell. It is several years since we last had lunch there and the first thing that we noticed was that lunches are now based on table, rather than buffet, service. We prefer this approach. Lunches are served in the large bar and the "corn exchange". The lunch menu is fairly limited but featured a roast of the day, and two or three other dishes, including a well stocked buffet salad bar. Light bites are also available. Meals are ordered at a desk and drinks are ordered at the bar. My wife opted for the roast of the day (pork loin with pink peppercorn sauce) while I chose the steak and ale pie. Both dishes were enjoyable with matching gravy and a separate dish of tasty vegetables. The choice of wines (from a chalkboard) is limited, but adequate and reasonably priced. We chose a Chilean merlot. To finish we enjoyed local ice creams. Service was friendly and efficient. Uniquely, in my experience, the gents' toilet features tiles decorated with the words and music of Rule Britannia (there must be a story behind this!). "fantastic food and service service"
stayed for one night through work. rooms very pleasant and comfortable (only slight criticism is the mattress was a little soft). i get an allowance through work for an evening meal but really couldn't be bothered as i had a long shift at work so didn't take advantage of this and didn't marie breakfast either unfortunately, i checked out the following morning and asked if could have sunday lunch in place of my evening meal and the manager could not be more accommodating. now some people may say rightly so but this hotel gets very busy for sunday lunch so she didn't have to entertain me really. i ended up having a 3 course sunday lunch which was fantastic. couldn't fault this place. very warm, friendly, cosy ambiance. i will recommend tommy employer that they book this hotel for all staff working in the area. thank you. Just stayed for one night at this hotel in the heart of Driffield. Had to stay in a twin room as this was the only one left, but found that it's bathroom had been designed for the infirm/disabled visitor-a good size, but not really suitable for ourselves. Hotel has real character - could perhaps class it as "shabby chic", which we loved, but appreciate would not be to everyone's taste. Had an excellent evening meal accompanied by good ale and house wine. Service was efficient and with a smile - found all the staff to be friendly and polite. Hope the management keep a close eye on those who use the small car park - our room overlooked it and we saw several people using it as a short stay car park whilst not actually using the hotel or attached spa/gym. Will certainly return - the hotel deserves to be supported, being a focal point for the town. "Hotel with character in East Yorkshire"
Old building with a distinctive character of its own, right on the High Street in Driffield, close to the Yorkshire Coast and Wolds. The rooms are not the standard modern hotel boxes, but still have all the facilities expected. Good bar and food at reasonable prices. Really friendly, non-showy, staff. Thank you for taking the time to leave your review. Its nice when people appreciate the hotel for what it is, i am pleased to hear you enjoyed your time with us. Thanks again. All I will say is that I know in hospitality sometimes you have to be thick skinned, I've been doing the job for 15 years now but I have never been spoken to the way this lady spoke to me. After doing everything i could have possibly done in the situation, despite being shouted at, called a liar and not listened to, I was called a disgrace, told I had no customer service skills and was in the wrong job as well as been told all I had done was stand and argue with her. Not a nice experience!! 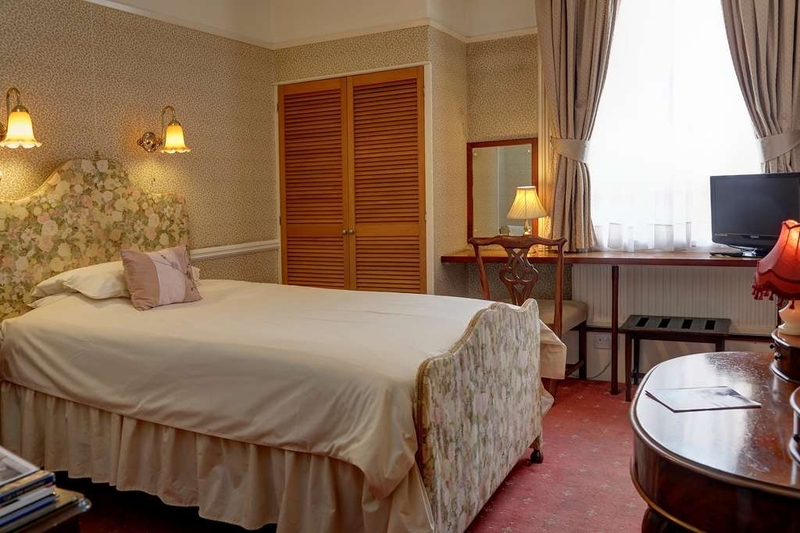 "a hotel full of character and charm"
Thank you for your kind words. The hotel is a historic 18th century building, its lovely when people come and appreciate that, and admire the building for what it is. We like to make people feel welcome and find we have good staff that do this well, its always nice to hear from our guests and your comments will be passed on. I am please to hear you enjoyed your time with us and look forward to seeing you again in the future. Thanks again. 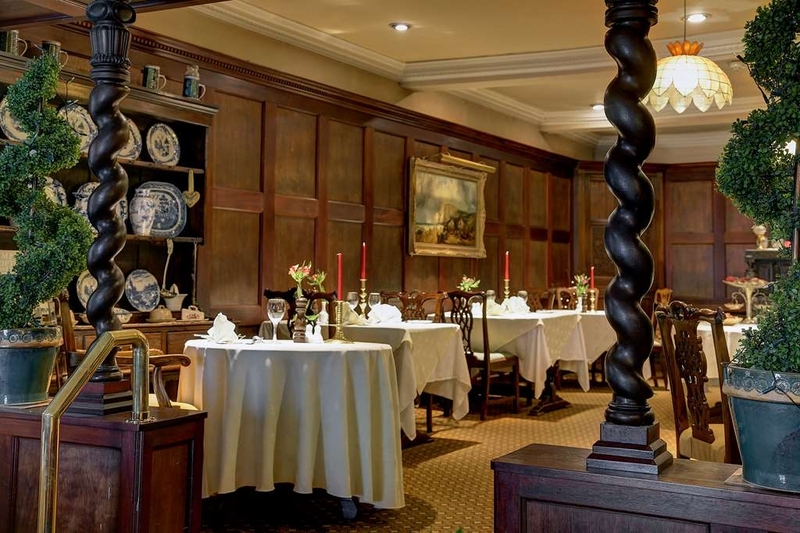 A trip into Driffield to our usual haunts was thwarted as all venues were fully booked and we landed up in the Bell restaurant which was deserted as all residents were attending a function elsewhere. They missed a treat. Service was good, food beautifully cooked and presented and prices reasonable. I urge you to try it! Glad that you found us, and hope you will return!! Thank you. The hotel itself looks very dated. 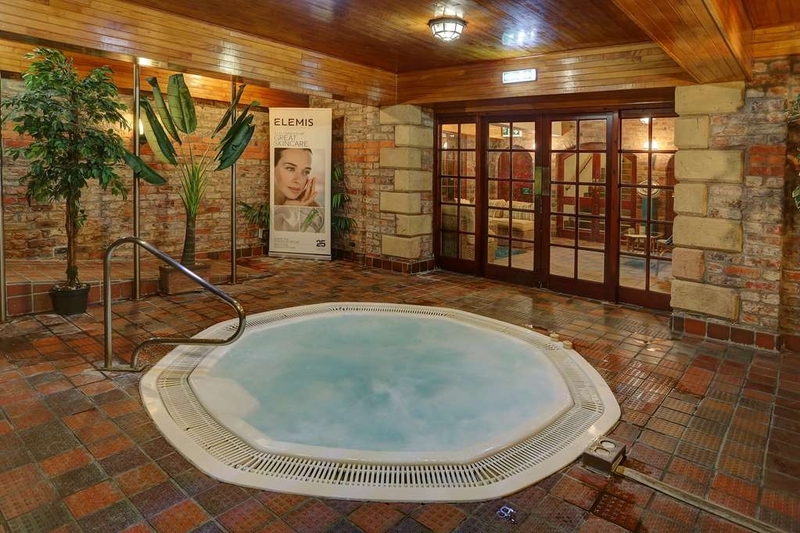 But the pool and spa area are a hidden gem of Driffield! Very modern and recently renovated. I have been on several occasions and pay to use the spa rather than our local pool! I've also had the afternoon tea package with my sister which we didn't fully enjoy. But loved the spa areas. I've stayed here a couple of times and, while the rooms are fairly well appointed, the beds relatively comfortable and the service ok... I have struggled to get any sleep whatsoever on either stay due to the heat of the room(s)!!! The car park is very, very tight and extremely difficult to negotiate. The hotel is part of a very old building which gives it character,the room was a good size and bed was big and comfy. Breakfast was plenty and cooked quickly from order. All the staff we delt with were friendly polite and helpful. Driffield is well positioned for exploring the wolds and coastline, enjoyed our time in the area and would stay again. "If you like querky! " We decided to base ourselves in Driffield so we could see something of the Moors, and it is nicely central and has some amenities and a few restaurants, but wasn't as picturesque as we had hoped. Beverley, further south, is much nicer. But The Bell is definitely "different"! Very old and quaint and was probably given a face lift in the 70s and still retains colourful bathroom suites, particularly our Executive room which featured a turquoise suite. Honestly not very comfortable especially the very soft and very high bed, but the staff are excellent and extremely helpful. They changed our room when I asked them to, and the second room was much more comfortable and very spacious. Nice bar and good breakfasts and right in the centre of Driffield. I booked this hotel for a customer for 2 nights and rang the hotel to cancel the 2nd night on the day of the stay. Was advised that as it was before 4pm I could cancel free of charge. I then went back to the customer to tell him I could get a refund. Rang hotel back 10 minutes later only for them to tell me that they had changed their minds and would not cancel the booking. When I asked why they advised that as I had already paid for the room they had got the money and wouldn't give it back. Shocking way to treat guests! PS. Guest advised room looked as it hadn't been updated since the 1920s All in all I think it best to avoid if at all possible. I visited this hotel , with a friend, for afternoon tea. I had purchased a voucher, via Groupon. It was the first afternoon tea that I've done, although my friend has been on many. We were both very happy with the service, the selection of sandwiches and cakes and our drinks. The hotel has an old world charm to it and the surroundings were very pleasant. The staff were very friendly and helpful and the food lovely. I would certainly return. "Certainly not plastic! Much period stuff around." Looked after me really well - had to leave by 5:30 a.m and, when I came down, the night porter had already put out a pot of tea for me in the breakfast room with a selection of cereals and fruit - beyond the call of duty! It was nice to get an alarm call with a human voice on the phone, too! We have visited the Bell many times in recent months. One of our party had been 3 times in 10 days. On Saturday evening we asked the bar man to put the first round of drinks on the bill but he refused and said we had to pay cash! Before this a couple had walked out through lack of bar service! After our meal for 9 ( which was excellent as usual) at 11.07pm we were told by the same bar man that he should not really serve us because it was after 11pm and we were not residents! We have been to the Bell many times and spent over £300 on Saturday but his attitude was un called for!! "One of the few hotels in Driffield "
Room clean but bin not emptied from previous occupant. Hotel is in an old building so expect creaky floors but this is not a problem as it adds to the character. Be careful which room you are given as one room is next to the boiler cupboard and it runs all night so not great for us light sleepers. Breakfast selection is good and staff friendly. Parking can be an issue as not many spaces and can be a little tight. I've not had an evening meal here so can't comment on the quality of the food other than breakfast. Stayed here for 1 night too many, to see Ken Dodd in Bridlington. Owners very obnoxious I apologised for going to Breakfast too late and for forgetting to put our watches forward for BST and was told BY THE OWNER very nastily that if you have to apologise its already too late!!. No customer skills NO WiFi in most of the building def not in our room no 16 no apologies no heating on arrival and is turned off at midnight so room was cold when we got back from show (Ken Dodd show always goes on v late). Their Car park is very small an awkward to get in and out and had our Car damaged. The place has Olde Worlde charm BUT is very cluttered and needs a good spruce up. Once the room was warm we were comfortable and its facilities were ok. The eve meal was excellent as was the Breakfast (which we did not completely eat because of their disgusting attitude). But oh the management needs to get out more. I will never return. "The same wifi problems "
Reading what other guests are saying this is an ongoing problem at this hotel I wish we had realised. The hotel is more shabby than chic and please don't dare to complain about the cold room. We hadn't realised the hour had changed and were treated like lepers when we arrived an hour late for breakfast. We will not be going back either. Had a nice lunch with my mum and son! Sandwiches and salads were nice and the chips amazing, proper chips!! Staff friendly and everywhere was clean if a little tied would recommend if visiting driffeield. What a surprise i got when we entered The Bell Hotel on Friday lunch time, not only was i surprised to see an old colleague, Joanne working the floor, but could not believe how busy it was and nobody was helping her to serve meals or helping the girl behind the bar. We had to wait for tables to be cleared. We have never visited the hotel before, and we really enjoyed our meals. The chicken pie was delicious. We will be calling in again the next time we are in Driffield. Went with colleagues expecting a quality afternoon tea as meals here are good home cooking. What a disappointment. Sandwiches were tiny consisting of oneof each of cheese, egg and ham a slice of plain quiche which was one mouthful and a tea plate consisting of a scone,chocolate bun and a sliver of cheesecake. The teapot was replenished. However at £12.50 per head I was appalled and had I been with family I would have complained. This is not acceptable when there are many cafes in the area. Had a great 2 night stay in this quirky hotel. We ate in the hotel both nights and the food was excellent, as was breakfast, with plenty of choice. We couldn't figure out how to get to the spa from the hotel without going across the car park, but this is somewhere we'll definitely stay again. Thank you, we are glad that you enjoyed your stay with us, quirky is defiantly one way to describe the hotel :) There is a way to get to the spa from the hotel, as you were in room 16 you would have had to have gone upstairs to find it, if you come and visit again we would be more that happy to show you. Again thanks for taking the time to leave your comments and have a great day!! 25 years ago The Bell was an extremely comfortable hostelry, with above average amenities and food. Unfortunately, not much seems to have changed since then. Room was clean and tidy, basic facilities functional, but the whole place seems in need of a refresh / refurbishment. Staff were great, friendly and helpful, but they deserve to be working in a brighter more modern environment. There are better value accommodations in Driffield. Thank you for taking the time to leave us your thoughts. The Bell Hotel is an 18th century building and modernising it is something that the we don't want to do. The rooms are kept clean and tidy, equipped with all the facilities needed for a comfortable stay, and as you say the staff are friendly and helpful, but the building is in keeping with the period it was designed. Although not to everybody's taste, a lot do like the different, traditional feel it has compared to a lot of the modern buildings that just all seem to be very much the same. There may be better value accommodation in Driffield, but none have to offer what we have here at The Bell. Again, thank you, and have a great day. The building was a little tired, but the food was excellent, The Hotel is dog friendly in another room not in the carpeted area, the staff were welcoming and polite clean and tidy, Will call again next time we are in Driffield. Thank you very much, we are glad that you enjoyed your time with us, we look forward to seeing you again. "Sleeping with a steam train "
We got let down by another hotel in the town so found this place in a bit of an emergency. Paid £98 a room and was told by the manager they always charge that. After we had paid we found the same room available at £68 on some third party sites. Felt ripped off already. The room was large, comfy bed and the whole hotel is very "oldy worldly" and a bit whacky. The main issue with the room (22) that all night pipes have water under pressure shooting through them that creates a noise similar to when a steam train release steam ! Kept us awake on/off all night as it increases in noise level then drops then repeats . Not conducive to a good night sleep that you just paid £98 for. The only other negative is that breakfast (we were told by the manager) only went to 9.30Am on a Sunday morning. Most other hotels make it later 10/10.30 which is nice for a little Sunday sleep in for guests. oh and room 22 when your sat on the loo and lean to one side for the obvious reason the whole toilet lifts off the floor! All in all probably wouldn't use again. Thank you for your kind words, its always nice to hear the comments like that regarding the staff. It would be lovely to have you with us again. 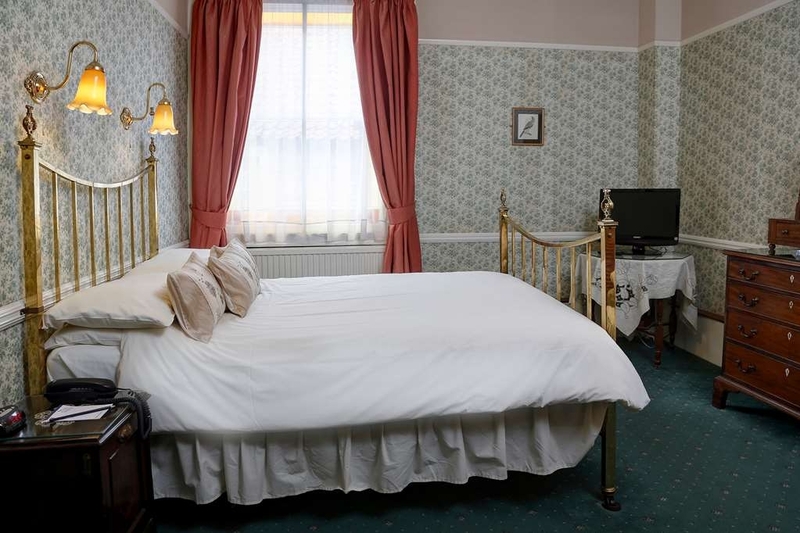 The Bell Hotel in Driffield is trades under the camouflage of Great Western Hotels but is independently owned and altjough the hotel boasts many on site features squash courts sauna etc I was more concerned about my resevation of staying in the hotel for one night. My room was prebooked for 2 using expedia and the location was excellent with surprisingly a parking space in its car park which was relatively small in comparison to the size of the hotel and the number of rooms. Arriving at checkout I was greeted by a smiling welcoming face of a young lady and I was shown to my room by a rather tall gentleman who seemed to be part of the fixtures and fittings but I was unsure of his position. The room I was shown to (no 2) was at first seemingly quaint keeping in style with the rest of the hotel with its artefacts and antique furniture. However it was a little confusing to wonder why the kettle and refreshments were in the wardrobe (only one small bottle of water despite being for two guests) I found these by chance as i unpacked. Cosy arm chars in the room and a good siz tv however there was not a view from the window except that of another room about 10 ft away. The bed was an unusual height I would guess about 12 inches or more taller than typical beds not duch a big deal however spending one night on this bed was enough with its very uncomfortable soft lumpy mattress. Prior to retiring in the evening I spent a few hours in various public areas down stairs. I was served at the bar by young lady who checked me in who seemed to be multitasking thr hotel on her own. The gentleman who showed me the room was sat doing a crossword and I disturbed him for the wifi password. Even though he was helpful enough to provide this I felt yhat I was intruding on his break and he said id i had any further problems to see the young girl running from the bar to reception. I later found out that the gentleman in question was the proprietor/owner/hotelier of the hotel. As a retired hotelier/landlord myself I would always be dressed in a shirt and tie whilst in the company of guests...but I guess thats just me. The evening menu was rather limited with options with only one special available. There seemed to more appealing starters than main courses and I decided to dine out. Access to the hotel was good and after a couple of hours i returned to the hotel to find that the bar and dining areas rather busy with the same receptionist young lady a young waitress and a gent behind the bar. The hotel was working on skeleton staff who were multitasking considerably to customer demands. The welcome pack tells room guestz that refreshments from the bar was available 24 hours however after going down later in the evening for a bottle of water but the only person who was available was a cleaner who could only provide me with a glass of tap water. 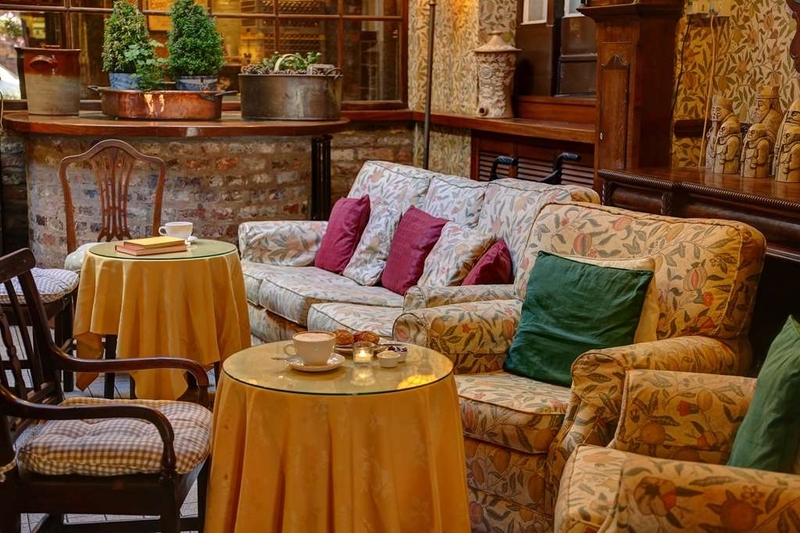 There are some very nice pieces of antique furniture and artefacts and pictures around the hotel but the general tables and chairs in and around the bar area are tired looking and require updating. The staff are well mannered and courteous and work very hard to keep on top of things however I think the proprietor should be smarter in appearance and more hands on to help the staff if he is available. As a frequent traveller and all things considered i would look for an alternative place to stay in this town. Hi, Just to clarify, the hotel is a member of Best Western. Best Western run a membership scheme for a group of independently owed and operated hotels, it is a marketing blanket not a chain. The young girl you talk about is actually myself, in an afternoon we do cover the reception and bar with 1 staff member as the custom that we get in at this time doesn't warrant any more (except at busy times which are accommodated). It has always worked and doesn't feel stretched, I would defiantly not say that I was 'running' from the bar to reception. Thank you for taking the time to leave us your thoughts, there is a lot that you obviously weren't very happy with and I'm sorry that your stay didn't meet your expectations, however I hope that there were some positives in there somewhere. "My impression of my experience." 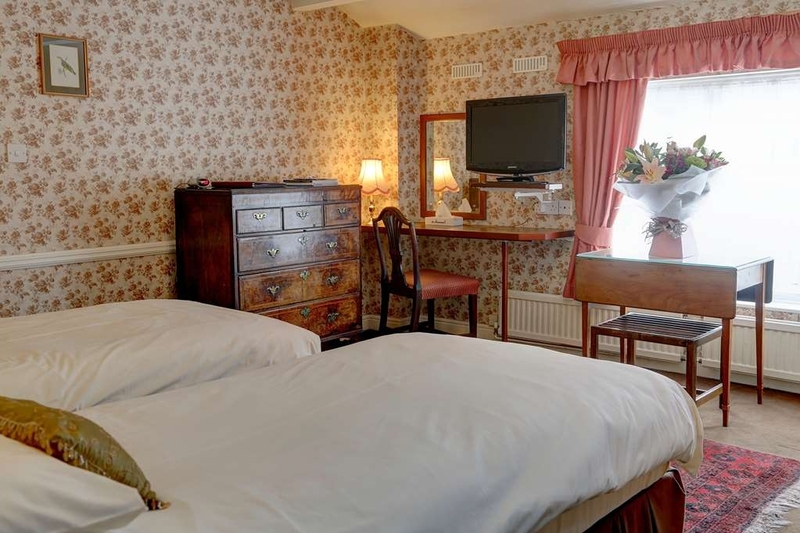 An historic old coaching inn with first class amenities. A hotel to recommend. Very limited parking spaces. Over flow car park some distance. Ideal for touring East Yorkshire. Handy for shoping on the doorstep. .
Good breakfast and convenient location for work, but the bed and pillows were very poor and made for a very uncomfortable night. This hotel is a bit quirky and different to more modern, bland hotels - but it needs freshening up and bring a little more up to date. I do not expect to be staying here again. 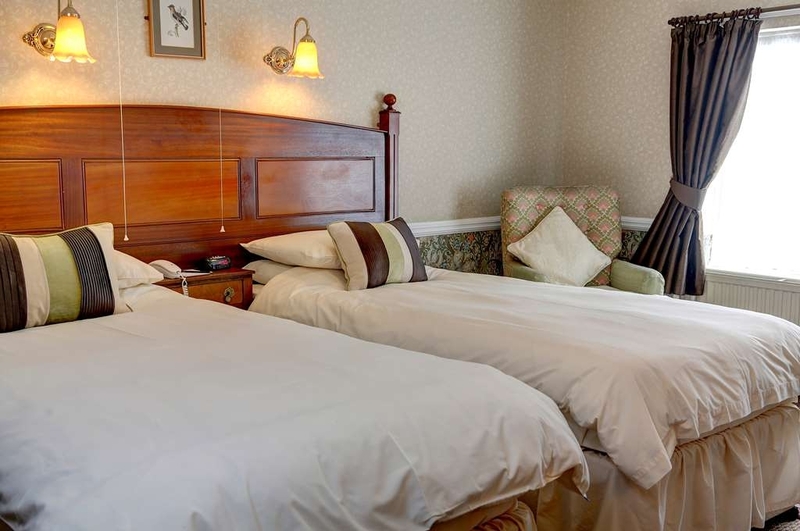 Having stayed at The Bell thirty years ago, and enjoying a pleasant stay in a dignified, smartish country hotel, we readily booked again when returning for a family funeral. The young female staff were faultless. The full English breakfast was good although the kippers I ate were almost sardine size. The decor and layout of this building is tatty, extremely dated and the overall impression is dismal. Our children shared a ground floor room and the bathroom's surprising level of grimness caused much hilarity. The furnishings particularly the armchairs looked like rejects from a poorly run care home. It was awful and the younger members of staff and the pleasant breakfast waitress are fighting a losing battle in this grim hostelry. We did not eat dinner there preferring instead to go to the delightful indian restaurant Muskan Spice, just around the corner. Excellent throughout staff cheerful and helpful (nice touch taken to room not given vague instructions). We were celebrating a special (50years) anniversary, at dinner we were made to feel special,hearts on the table and best wishes from proprietor. At any time any reasonable request was fulfilled. Staff neatly dressed. The Hotel is out of date. The rooms are Dated The bed is not comfortable. How Old ???? It is just out dated It is situated in the middle of the town the only good thing. Plenty of Bars and eating places in the vicinity. Stayed here for two nights in Room 3. Before you start, if you're used to (and prefer) very polished, standardised purpose built hotels. The square box with an en-suite. All very modern with clean lines etc. then I wouldn't recommend here. That's not a criticism. But the Bell is old school. 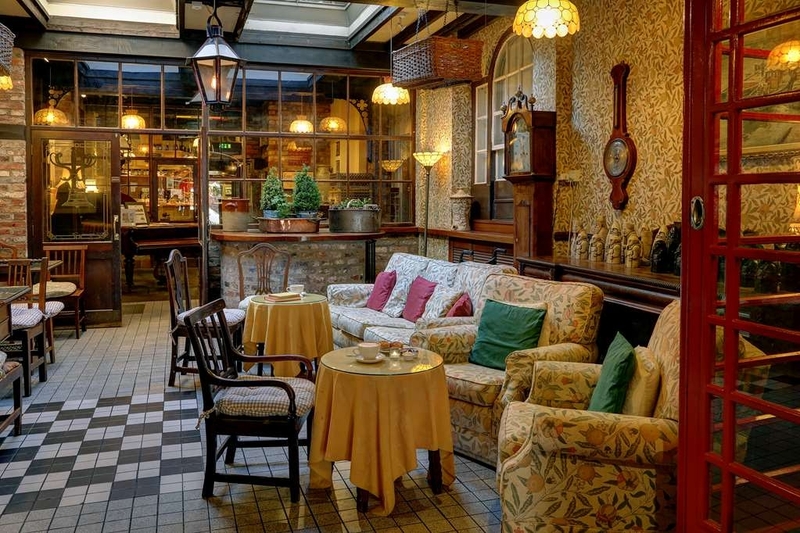 Creaking floorboards, chintzy and very old fashioned furniture, rough as you like around the edges, rammed with historical character and quirks galore. Walk in here and you're easily going back at least 50 years. If that's what you like, you're going to love it here! Not to say it isn't looked after. 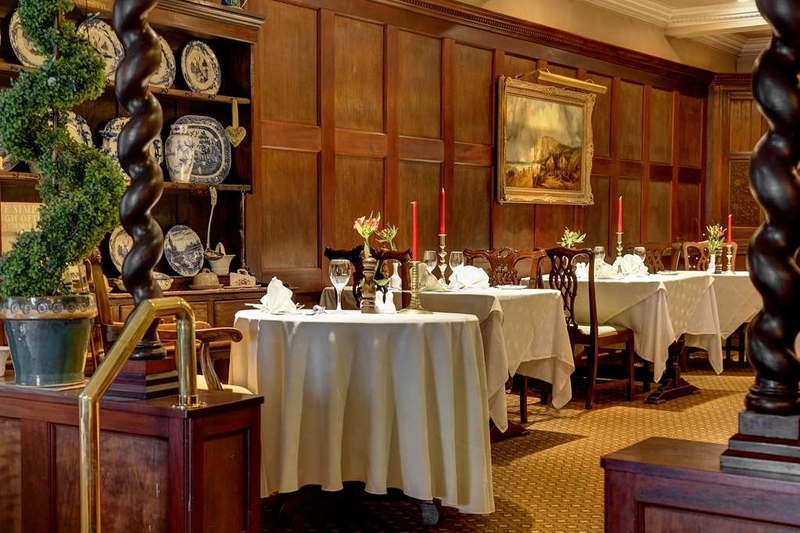 It may be dated but in the main it's clean and the staff are very helpful and accommodating. On our first evening I had been travelling and working a lot over the preceding few days and felt too tired even to go downstairs for dinner. We decided to order takeaway to eat in our room and the restaurant staff were happy to provide cutlery...even though it may have seemed an odd request! Our room was fairly hot, so we had the windows open all the time - bit of a security concern as other bedroom windows opened on to a fully enclosed flat roof area and anyone could walk out onto the roof and get in the neighbouring rooms - relatively unseen by anyone. I noticed all the bedroom windows were open so hot rooms seem to be prevalent making access even easier. Maybe a CCTV camera would solve the security issue? Also if you have children be careful with them going on the roof (our room had a door access to the roof), there are large Perspex rooflights which may not be safe to walk or stand on. Our room was above the restaurant WCs - with a soil pipe terminating close by and (when the wind was blowing in the wrong direction) meant the infrequent smell of drains every so often - not particularly pleasant but it's a problem that would easily be fixed by extending the pipe. Beds were reasonably comfortable and we slept reasonably well, but it's not all that quiet. There is a lot of external noise, be it passing footsteps in the corridor, plumbing noise or other mechanical whirrs, hums and bangs coming from all parts of the building. We also made use of the gym and spa. Gym is a very good size but equipment is a little dated. It's better than your average hotel gym which usually is pretty poor. Spa facilities are very good, though the pool is too small to do any serious swimming. We didn't have breakfast. In all I'd stay here again. It was by no means unpleasant though it could do with some tidying up at least...or a total refurb at most. 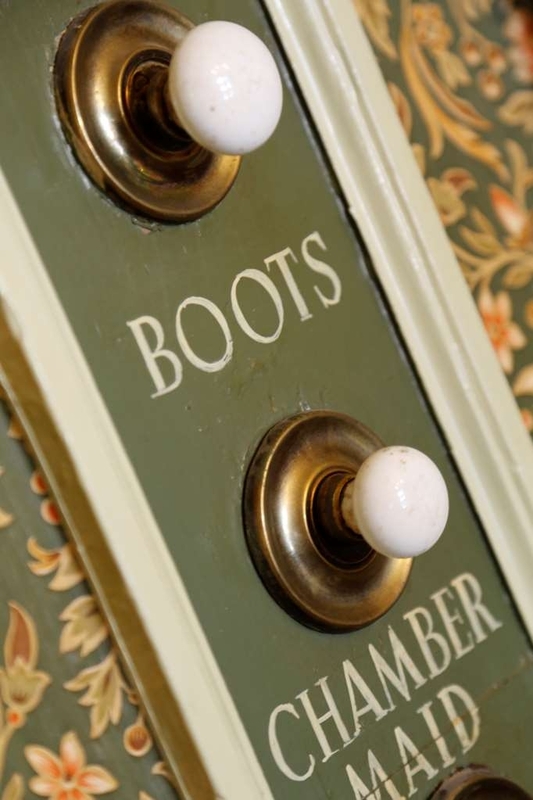 A hotel with character, with visible evidence of its historic past whilst offering modern amenities. The rooms we have had on two different have been spacious and individual. Despite being in the centre of town, there was no disturbance from traffic or pedestrians. The only comment I would make is that the public areas tended to be uncomfortably warm, but the room was light and airy. "Lovely quaint and very old hotel"
Really interesting and really lovely old hotel - William Morris wallpaper all over the place - best full breakfast I've had for a long time. The hotel has a spa and pool but didn't have time to visit - but the whole place looks and feels very nice. Four of us went to have lunch at this hotel yesterday and it was a very happy experience. I see that there are conflicting reviews about The Bell and must admit that I do not know what the bedrooms are like or if the beds are comfortable. I do know that the lunch we had was superb and the staff could not have been nicer and were very efficient. Drinks were brought to our table contrary to someone else's experience in these reviews and our guests were able to park with ease in the car park though, I have been told that it can sometimes be a nightmare! My husband and I parked in a different car park nearby which was free much to our surprise. I liked the 'old fashioned' feel of the hotel and felt it had great charm. Also, unlike someone else's experience, there were plenty of staff working and the dining rooms were full which is always a good sign. All four of us would definitely go back again. We stayed here for a wedding and had breakfast in the morning and everything was perfect. The room was big and spacious with nice decor. The hotel and the area were quiet when we wanted to sleep. It was fine to come in from the wedding late as we just came in the back entrance. "Friendly but a bit tired in places." I came up to Driffield for a college reunion so only slept there and had a quick breakfast. My room was beautifully furnished and was surprised to get a double being on my own. There were one or two repairs like the toilet seat which needed doing but I didn't have time to report them. The breakfast was fine. "Well in need of a total refurb." We have booked a superior room expecting something a bit special. This was to have been a restful break, after health issues and not far from home in order to attend the next appointment. Alarm bells started to ring as we climbed the stairs . Each stair creaked and all the floor boards too. In the room the " separate siting area" was a very small uninviting space with dated furniture and smelling of damp. The bedroom was a dark and gloomy place. 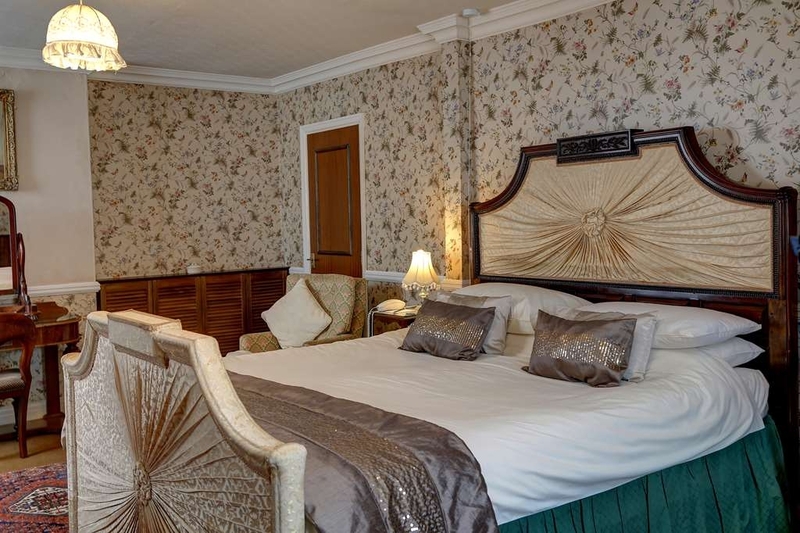 A mix of Victorian/ Edwardian furniture and 70's Sanderson style floral wallpaper, polyester bedding and no wi-fi signal. We went down for dinner at 7.15 and on being given the menus we attempted to order a drink and were asked to go to the bar ( in another room) to get it. After 15 mins we asked if we could order food only to be told there was a 45 min wait as " the dining room was busy". Not wanting to wait that long we decided to go to Weatherspoons just down the road where the basic pub grub was very good. The hotel had 2 girls workings the reception, the bar , making coffee and serving tables. They were absolutely working their socks off , dead on their feet yet amazingly pleasant and smiling. The night was hot and with very thin curtains that let in the light (including the hotels own illuminations) , poly bedding, no air con, traffic noise from the opened window and the neighbouring plumbing audible with every flush, it was far from a good nights rest. Breakfast was just "Ok" . Funny coloured scrambled eggs tho' and very poor coffee. There is very limited parking. I would reiterate that the two young women were doing their best and were very pleasant and helpful. Thank you. But there is obviously a management issue. Stayed here for two nights to attend a function nearby. I found the car park easy to negotiate, in spite of other reviews saying it is tricky. The welcome was very warm and friendly and the building and decor full of character. The room was very clean and comfortable and I found the wifi efficient and easy to get. The bathroom was spotless, the water beautifully hot and bathroom products plentiful. The breakfast was good - excellent choice of continental breakfast - fresh fruit, cereal, etc, although the croissants had run out and the other Danish pastries looked past their best. I stuck with continental on day 2 however, after over cooked, tasteless poached eggs on day 1! Coffee quality a bit dubious although noticed you could upgrade for extra charge.....would expect good filter coffee as a given!? For those reasons, I fail to give 5 stars, but it would not prevent me choosing The Bell again, as I am happy enough with fruit, cereal and toast! The Bell was the only hotel we could find within reasonable distance of a function we were attending otherwise we probably would not have booked it. We knew it was old but didn't realise how old fashioned it was. Our bedroom had an overpowering musty smell and the bathroom was incredible for all the wrong reasons. The floor was tiled with quarry tiles which looked decidedly grubby and because of the "wetroom" setup of the antiquated shower you had to paddle over a wet floor to the loo and sink. I also didn't like the fire door set up leading out of the bathroom to the outside. The only saving grace was the breakfast. Plenty of choice of Continental items or a cooked to order English which was hot and tasty. Staff were pleasant and obliging. Not exactly cheap for a 3 star hotel when we travelled on to our normal 4star hotel chain later which was about the same cost. Stayed here for two nights as we were attending a wedding nearby. The hotel is a little tired and outdated but we have to say the staff are great. On the first night we slept very badly as the mattress was horrendous. The next morning I made a complaint to the reception staff and whilst having breakfast someone from housekeeping came and spoke to us to apologise and said they would replace the mattress that day and it was done after we had left for the wedding so we were not disturbed. Well done to them. The breakfast was very good and our room in all other respects was comfortable. There is limited parking and a spa but we didn't have time to use this. There is free wifi but unfortunately we were not able to access this as possibly we were not able to pick up the signal in our room. "poor bed in room 8"
Lovely hotel but the bed in room 8 was terrible. However friends in other rooms had normal one mattress beds, ours had two, which meant as my husband sat on it I was bounced off. Needless to say we didn't get much sleep. The breakfast and Spa were both excellent and the antiques throughout the hotel are wonderful. "Tired and old-fashioned but very homely"
As we were going to a wedding they let us have the room very early so we could get ready. The room was Very different as it had a spiral staircase up to the bedroom. Breakfast was good and the staff very helpful. Very old fashioned and packed with character. Even creaky floors. A very big surprised. Took a while to get used to this place but lovely hotel. Staff were good, however watched lots of people behind the reception area not in any sort of uniform and i'm sure there is personal information about clients behind there. The only thing really I could say anything about was the bed which rattled every time I turned over, very annoying. Breakfast was amazing great service. Didn't have time to use the spa. "Very pleasant stay at an old- fashioned, well- run hotel. Recommend." Two nights' stay at the Bell and hope to return ! Our room was large and spotless. Plenty of character in this hotel - although part of the BW group it has the feel of an independently run establishment. The management pay plenty of attention to detail, such as the presence of a very well stocked, comfortable and well- run bar and restaurant. We found hotel staff obliging and very friendly. Excellent breakfast, with continental pastries, good quality live yoghurt, freshly prepared fruit salad, plus cooked food to order ( we enjoyed porridge, kippers, smoked salmon and scrambled eggs ). 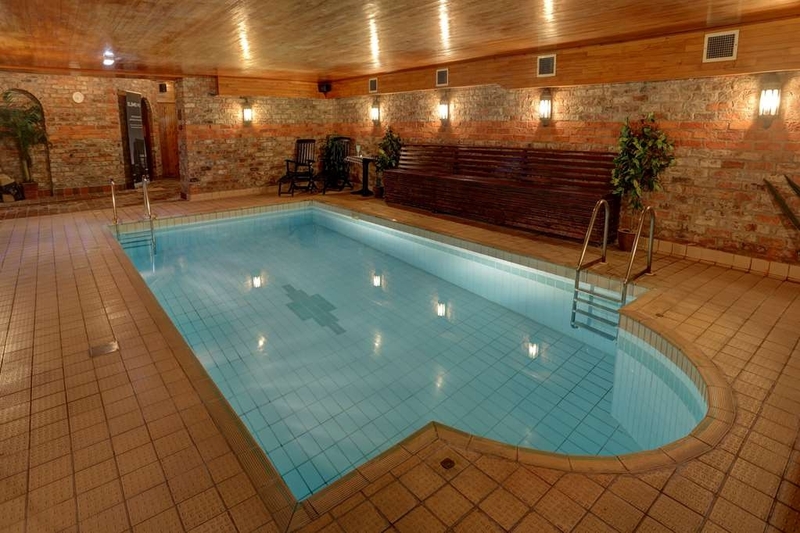 Very centrally placed in Driffield and has spa / swimming facilities, too. Stayed 2 nights. Very good value for a weekend stay. 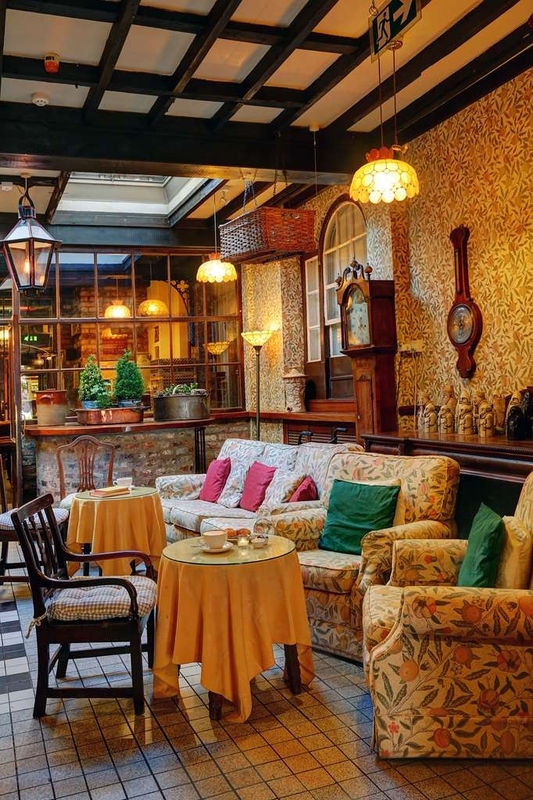 "Quirky hotel with loads of character"
Stayed for one night for Edwina Hayes birthday concert. The staff were lovely and friendly. We were given an executive suite which was huge and unexpected and made our day. The hotel is very old and like a rabbit warren with rooms appearing here and there in different styles and with odd furnishings. So much more interesting than modern day hotels which are functional and nothing more. The spa is reached via long corridors in the hotel which seem to go on endlessly, good for steps on the Fitbit if you have one. 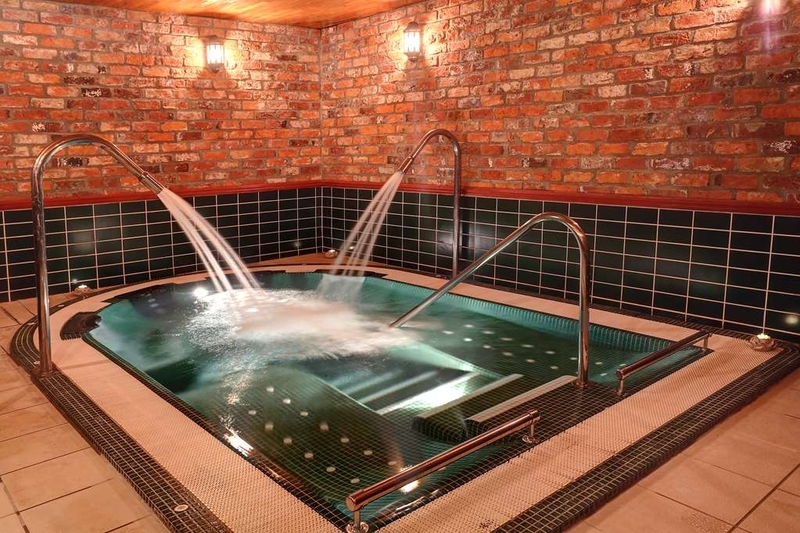 The pool, sauna,steam room and jacuzzi are a welcome retreat again with lots of character and ambience. There is also a gym for the more energetic guest. We loved our stay here and would recommend it to anyone wanting a comfortable night in an interesting and unique 17th century hotel. Only downside the wifi wasn't great. We had a two night stay at the Bell in Driffield. We checked in just before 5pm but the receptionist had left and a young girl told us she had just been told to give us the key. We had no details about the hotel so were unaware of any guest facilities we could use or the times they were open. Not the greatest way to start a weekend break. The hotel is quirky and old which was great but there were flies buzzing about in all the seating areas downstairs and at breakfast both mornings. Another couple came in to the breakfast room and make the same comment. The breakfast itself was good although we avoided anything uncovered. The hotel room itself was fine but the bathroom was a step up from the bedroom and the bath was at floor level – very strange – you step down into the bath to take a shower. Good job there was a handrail to get out. There were also two bathrobes hanging on the back of the door we assumed were to use if you went to the pool but they looked very off while/grey and well used. Not nice at all. The hotel is packed with antique furniture and pictures etc. and it was nice to see they were still being used. The car park is very tight as they have packed a lot of spaces into a small area and left no room for manoeuvre and was full most of the time. The spa & pool facilities are also used by none guests so also can be busy. This hotel is over 250 years old. It's remarkable to consider that during those 250+ years it's past and present owners have totally failed to renovate it's superb character out of existence. I'm old enough to remember when all hotels were like this (or seemed to be). Sadly, most are gone now. The Bell Hotel has proudly preserved it's history. Everywhere there is fine furniture from an earlier age. When you unpack your suitcase you put your clothes away into a chest of drawers that, in other circumstances, would be in a museum - and you wouldn't be allowed to touch it. Some of the chairs in the dining room, are they original Hepplewhite? I hope so. The hotel has moved into the 21st century where it has to. There was a large and accommodating bathroom with an efficient shower. The Bell provides a car park but this, you feel, is done reluctantly and a little grudgingly. You are left with the impression that it would prefer that you arrive in a horse drawn coach. Lastly the staff: without exception they were excellent. They were friendly and efficient. "So glad we found this one!" The Bell is 250 years old and the decor in the public areas is testament to this. We enjoyed Capuchinno, with scones and jam £1.95, but more importantly delicious. It so happened that this was market day, Thursday, and it was wall to wall people. We were staying for several days as we searched for a new home. The staff were so kind to us, offering a little advice and could not do enough to take care of us! Our breakfasts were well cooked and delicious, rather like our evening meals. A great place to stay. PS we are making a new home here the people are just lovely. 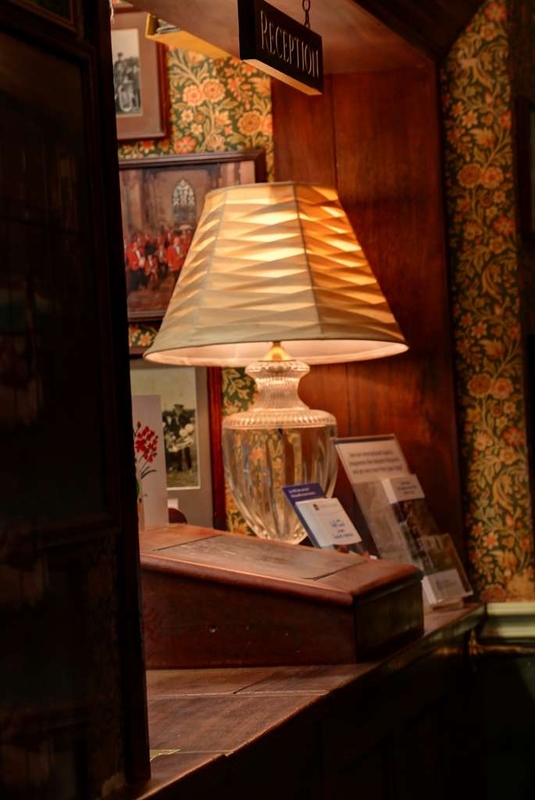 Have been to the Bell previously the mattresses have been renewed and the rooms spruced up, the hotel is very olde world with lots of antiques and curios dotted around,always find the staff excellent and very helpful, the breakfasts are really good and all in all a very relaxing stay. Only real negative ,the car park is quite pokey. "Quirky - in a nice way"
Had a 3 night short break here two weeks ago and really enjoyed it. Everything creeks but that adds to the character in an old building. Had dinner one night and the food was excellent with generous portions. Very good breakfast which included real fried bread.Nice bar to relax in with friendly atmosphere. Staff most helpful and friendly. Only complaint was the creeky bed. Come to the Bell so often over the last few years for family get togethers but tonight was really disappointing. Came for a meal with my partner, my mum, dad and my grandma. We waited about half an hour to be served drinks as the bar was busy it being a Saturday night and a pre-booked party was in but yet there was only one member of staff serving at the bar!!! We finally got our drinks and sat down ordered our food which also took a while for orders to be taken. We waited over an and our food still hadn't arrived we asked where it was and told its taking a while as there's a big party in, which surely they would have had booked in and been able to plan extra staff for?!! After being promised 5 more minutes for our food it came after about another 20. Food was nice but not sure it was worth that long wait. Waited another 20 minutes or so at the bar for drinks after. Funny though that they were quick to bring our bill across without us asking for it and no discount for the abysmal service! My hubby and I stayed for 1 night. We had a lovely room with a nice big bathroom. It was nice to have a full size tv and 2 arm chairs we could move to watch it, rather than having to sit on the bed. The breakfast the next morning was very generous and we'll cooked. We very much enjoyed a two night stay recently. The Bell has plenty of history and character. All staff were friendly and polite. Breakfasts were well presented and very good. We also had two evening meals which were also very good. The superior room we had was comfortable and spacious. "Thoroughly enjoyed the weekend. " 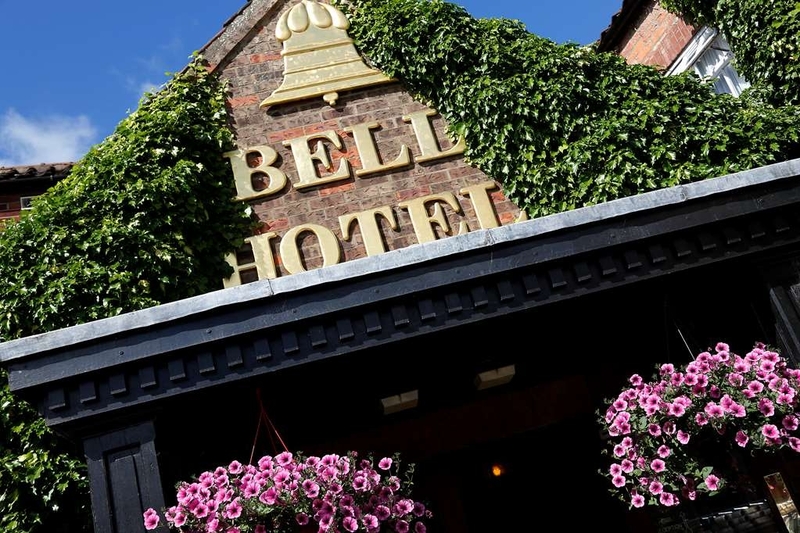 Booked a one night stayover at the Bell in Driffield, what a great stay . The room was great, I think it was the bridal suite, we went down to the pool area, the jacuzzi was out of order but we were allowed to use the super spa which was brilliant, along with the pool & sauna. The staff were great, early check in, arranged taxis etc, nothing too much trouble, in the morning the breakfast was lovely, a great experience. I was bought a Spa Day as a Christmas present, and it was lovely treat. I arrived with my friend just after 10am, we had coffee and used the swimming pool, then the sauna then into the spa room with water jets and Jacuzzi. Then did it all again! 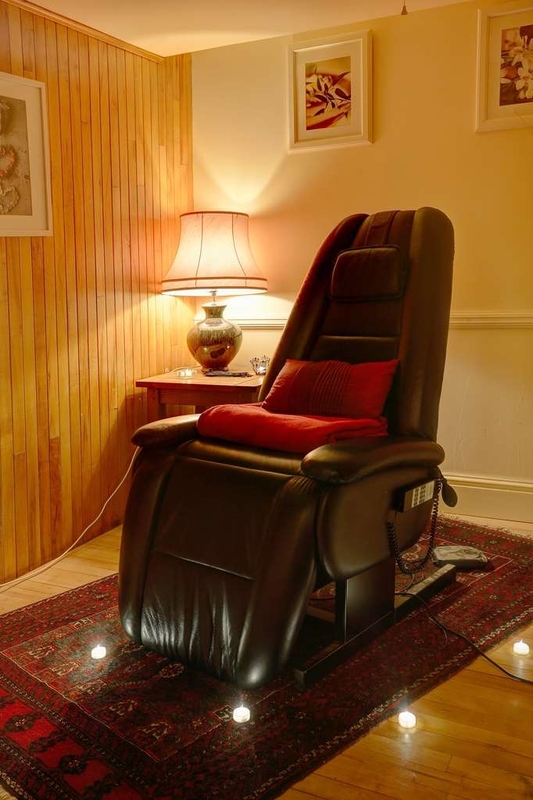 It was all rounded off by a back, should and neck massage a bit later in the afternoon. We left about 3pm to go for a bite of lunch and a coffee on the high street. If you want to treat a friend and spend a couple of hours chatting and catching up in a relaxed atmosphere, I would highly recommend. The only improvement I could suggest was for the spa to keep a couple of 'open appointments' for the spa users to treat themselves to unplanned treatments, I would have loved to go in the mud bath, but sadly it was fully booked out. Fantastic spa day. Morning coffee with scones, cream and jam. Private use of "superspa" including rhassoul. Exclusive use of saunarium. 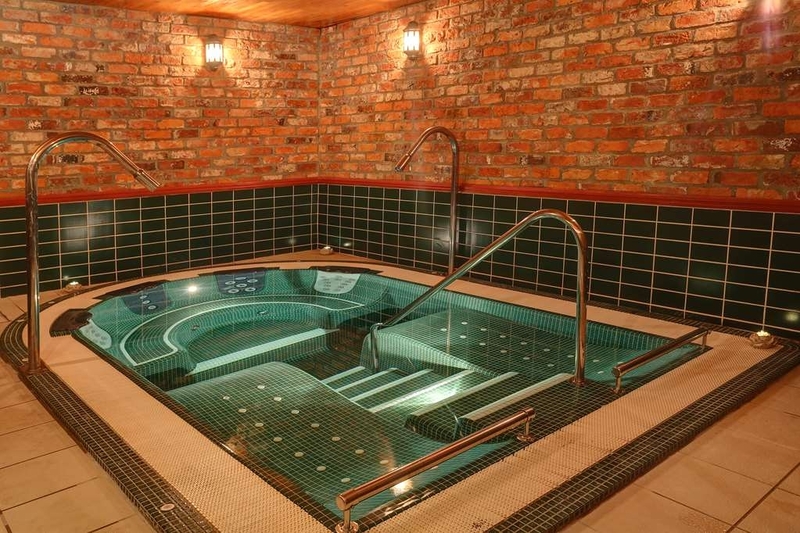 Free to use sauna, steam room, pool and jacuzzi at leisure. Wonderful little day room for own use too, complete with ample tea and coffee with kettle - use as much as you want. Lovely lunch with wine included. Staff wonderful, helpful and attentive without being obtrusive. Beautifully decorated and rustic, it is in the old cellars of the building. Candles everywhere giving lovely ambience. As much fresh, bottled water as you want and plentiful supply of dry gowns and towels. Changing rooms being modernised at moment but that was no problem to us. Would be good if there was a spin dryer for swim suits and maybe slippers too. All in all, a brilliant day. Many thanks to Louise and Annabelle for their kind help throughout the day. Called into the Bell for lunch in the restaurant which is more expensive than the bar but nicer surroundings. The atmosphere was good and we got our food 10 minutes after ordering. Beef was fantastic, separate vegs very tasty, overall a very good Sunday Lunch. Cost around £12 for two courses, All home cooked and delicious. We live in Driffield, but have never been to the Bell before for Sunday Lunch so decided to give it a try and we are very glad we did. The food was excellent, I had Roast Beef and my husband had Roast Pork. My big test for a decent Sunday lunch is the Yorkshire puddings. The Bell's Yorkshires are excellent! The meat was cut from a joint, the gravy delicious, the vegetables very nice. For pudding I had treacle and sponge and custard, Delicious, couldn't fault it. My husband had the cheeseboard. You just went up to a table an helped yourself, his only critisism was the selection of cheeses. There was no Wensleydale! There was a very nice blue cheese though that made up for it. He would also have liked to know the names of the cheeses. We had a cup of excellent coffee and after dinner mint to finish. This is included in the very reasonable price. The decor is lovely, its not been spoiled. The dining room is perfect, the whole of the building is beautiful. Homely, and in keeping with the exterior. Love the William Morris wallpaper in the conservatory area and comfy chairs. I hope it never changes The staff were polite and helpful and we will certainly be going back again. I can't recommend it highly enough. The oldest part of the hotel was built in 1730. The floors squeak, the hallways meander. It does have modern amenities and a good restaurant and pub. The best for miles around. I enjoyed my week long stay. My wife and I popped in here for a quick bite to eat at lunch time in early December 2015..This was our first visit here and as soon as we entered we sensed we were in a place with a history. 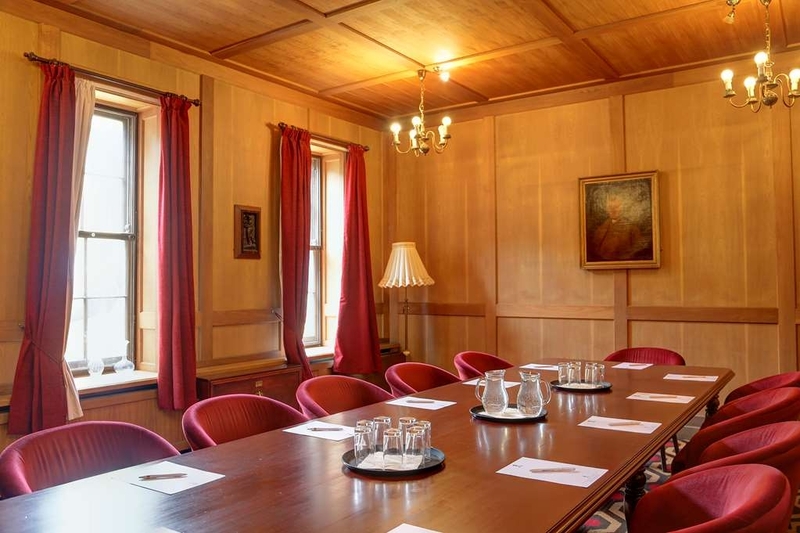 The décor and fittings reflecting days gone by with oak wood panelling and brass fittings. I had ham sandwiches with side salad and a few chip wedges whilst my wife had ploughmans sandwiches and side salad. The ham was delicious, not the 'plastic sweating ' type often served up these days. The cheese in my wifes lunch was very tasty. A quick walk around the various lounges gave me a chance to feel the cosiness of the Hotel. I spoke with the family owners who were most polite and helpful. The dining room being very commendable. We look forward to visiting again when in the area. a lovely lovely hotel.All staff were so friendly helpful and could not do enough for you.Real Ale excellent so was the food. Room was so so good and lovely and warm. my partner and i are so looking forward to go back. 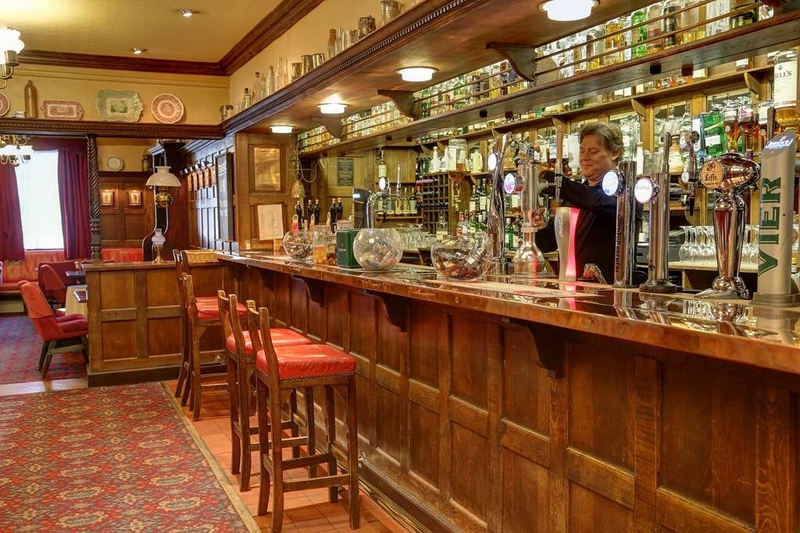 I have stayed here a few times and have had great service on each occasion. The hotel is very old and the furniture and deco match it's age. 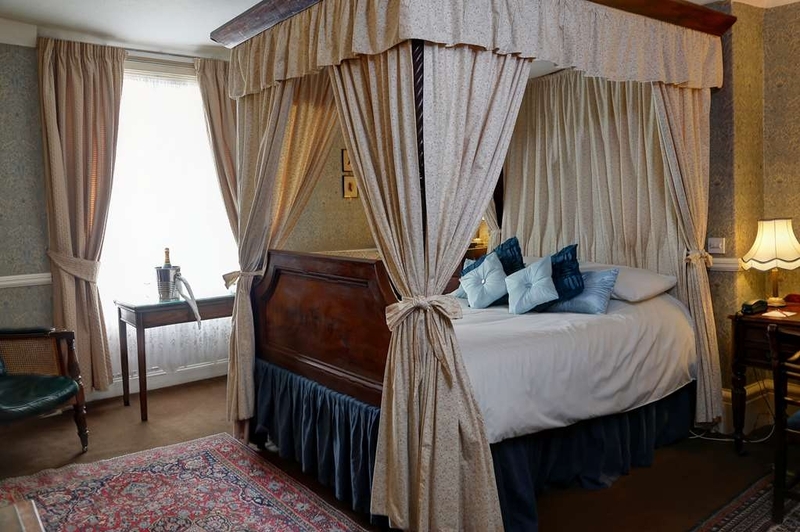 I love the old furniture and my 4 poster bed, it is all about the character and history. There is a pool and gym and breakfast is very good. I loved the salmon and eggs. "Second visit and love it"
This is my second visit to this place. I just love the way you step back in time as this place is 100's of years old. I stayed in room 19 this time and had a 4 poster bed along with some very old furniture. When I say old furniture. I do not mean old and tacky but old and interesting. I loved reading the information about the hotel and that my room was used for woman and children to wait in while the men had a drink at the bar. You can almost imagine these people in your room. I did not eat this time or visit the spa as I fell asleep on both nights after getting in from work, however I have eating here before and the food was great. My colleague did eat in the evening and said it was one of the best meals she had for a long time. At breakfast I had salmon and eggs and I have to say that it is the best smoked salmon I have ever had. I would recommend this place to anyone. The car park is accessible at the back of the hotel. It is small and beware of the little walls so you avoid a prang! Our room was no 17 on the first floor, not a flat wall or a level floor in sight. There is a lift if required. The first room contained a desk, sofa, a cupboard and 2 old Victorian box commodes! (not working but just part of the olde worlde décor). Down a step and there was a very high bed with a canopy. This was very comfortable once you had climbed up! This room had an easy chair, wardrobe, TV and a cupboard. Tea and coffee making facilities and ironing board and iron were in the wardrobe. On the left was the bathroom and the toilet beyond that. The bathroom suite was an eye catching green with a larger than average bath and overhead shower. The taps on the basin were abit odd as the cold tap turned the wrong way but it worked and that was fine. The room was at the front of the hotel and looked out on to the main street. This was noisy at times when the window was open but if you want a quieter room I am sure you could ask for a room at the back. This hotel has a spa facility accessed down some steps in a separate building through the car park. The pool is small but ok for a gentle swim and the Jacuzzi is warm and quite spacious. There is also a steam room and other facilities should you want them. The ladies changing room is downstairs and difficult to find but I was taken there by one of the staff, finding my way out was more difficult. Lockers require a £1 coin but tokens were available. Showers were large and quite powerful and toiletries were provided. However I couldn't find bags for soggy swim wear so take an extra towel or plastic bag. As we were resident we partook of the free towels. Breakfast was very good. Cereals and fresh fruit and juices available followed by a cooked to order breakfast. Tea, coffee and toast also served. All the staff were polite and welcoming. We would definitely visit again. 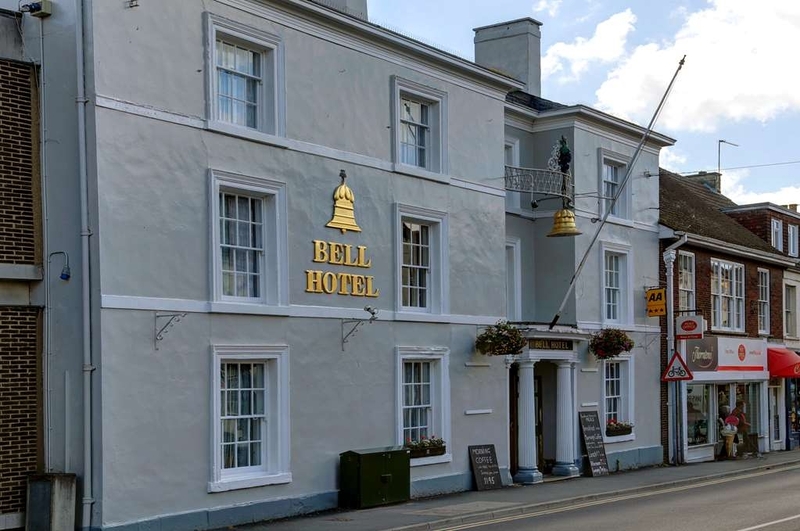 "Bit old fashioned but rather fun and quirky"
Normally staying in the large chain hotels, the Bell is a rather refreshing change. It is a bit old fashioned, some may say dated in parts, but to me this adds to the charm of the place. All the rooms are different, in comparison to most modern hotels very spacious. Everything is clean and the beds comfy. The food at the Hotel is good, great selection of local beers and a frankly astonishing selection of Malts. Staff were attentive and helpful. Wifi was fast and reliable (and free!!). "Good for moring coffee and scone or weekday evening meal"
I like the unique, unspoiled, old-fashioned feel. Oak Panelling in the bar, William Morris print wallpaper. Service is with a smile. Food OK with plenty of choices. Vegetables were plentiful and not overcooked. We didn't have a pudding or a starter. We often visit for morning coffee and a scone. "Spa day - fantastic value for money!" I have been to the spa at The Bell several times now, and it seems to get better every time. The staff are attentive but not intrusive. The spa itself is lovely - it's underground so a bit lacking in daylight but still a very pleasant environment. One of the nicest things about the spa at The Bell is how quiet it is - it's not unusual to have the place to yourself during the day in the week. And the use of the Super Spa is always exclusive, which is lovely. I also very much enjoyed the Rassul mud experience. I didn't have any treatments this time, but have in the past and they have always been fantastic. Finally, the only thing which previously I felt let it down a little was the quality and availability of the food and drink, but this time they were both of a really high standard and much easier to get! The prices of The Bell are definitely cheaper than comparable places for spa days. Overall - highly recommended, I'll definitely be going back again. 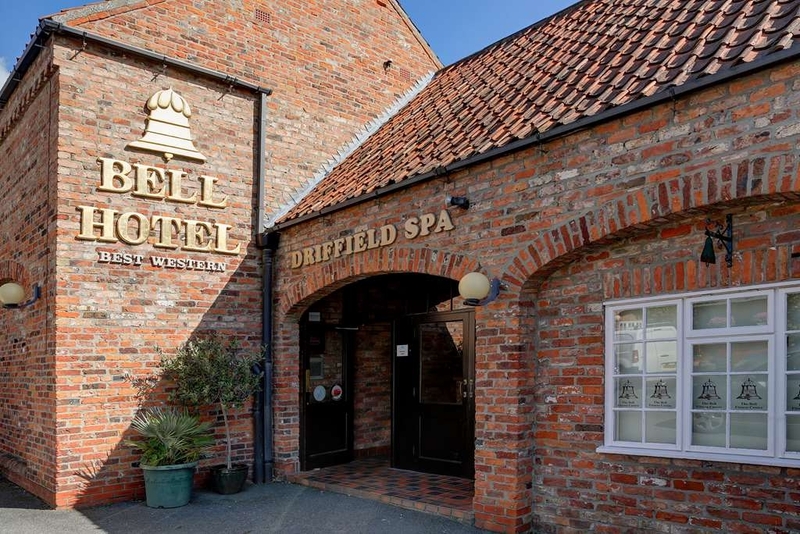 Another wonderful spa break at the Bell Hotel, Driffield. All staff welcoming and attentive, especially in the Spa. The food in the restraunt was excellent as usual. The spa break package is certainly good value, would recommend this place to anyone. "Exactly as it should be." We went to The Bell for a birthday dinner. The restaurant atmosphere was perfect, and the food was good quality and nicely presented. 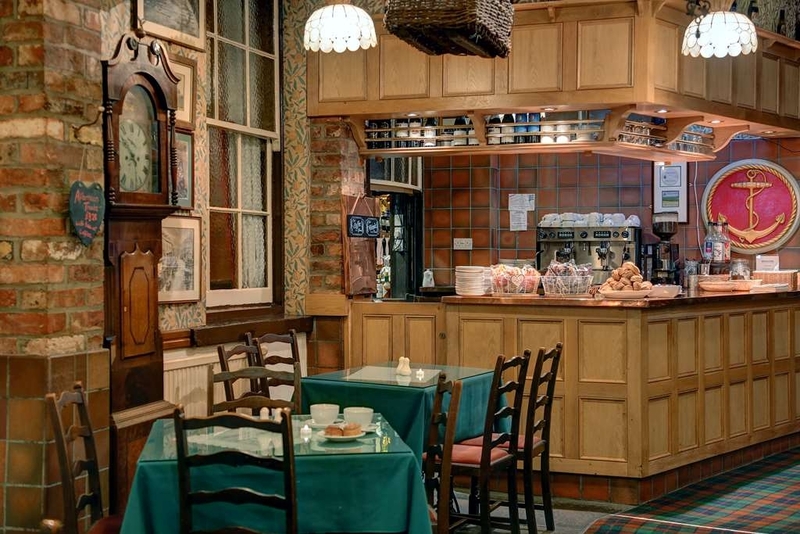 The whole hotel exudes the historic charm of its period, its setting, and what you might expect from the main hostelry in a small market town. Of course it is unpretentious, and it will only be ruined if any clumsy modernisation is attempted. There is very little wrong with The Bell, and it would be a big risk for someone to barge in and turn it into an anodyne copy of one of the big chain groups. Character places are so few and far between these days. .
We stayed at the Bell Hotel for one night as we were going to a golden wedding party. Arriving there the receptionist asked if we minded a spiral staircase. We said not really so she took us to our room, down in the basement, which smelt damp and of drains. She took us into our room where there was a spiral staircase going up to the bed, the bathroom down below!!!!! Said we couldn't stay there too dangerous getting up I. The night to use the bathroom and falling down the slippery spiral staircase. "Full of old worlde charm"
This hotel just exudes "Olde Worlde " charm!! Lots of of original features have been retained. On arrival we were greeted in a friendly and efficient manner,and were shown to our room,with an offer to carry our bags!! This does not happen a great deal these days!!! Our room was comfortable and spacious. Breakfast was excellent ,with a very wide ranging choice. The service was first rate.